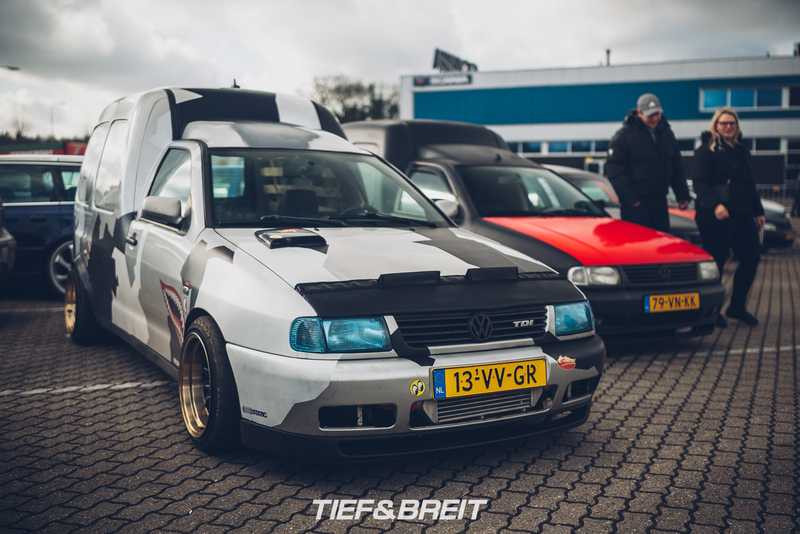 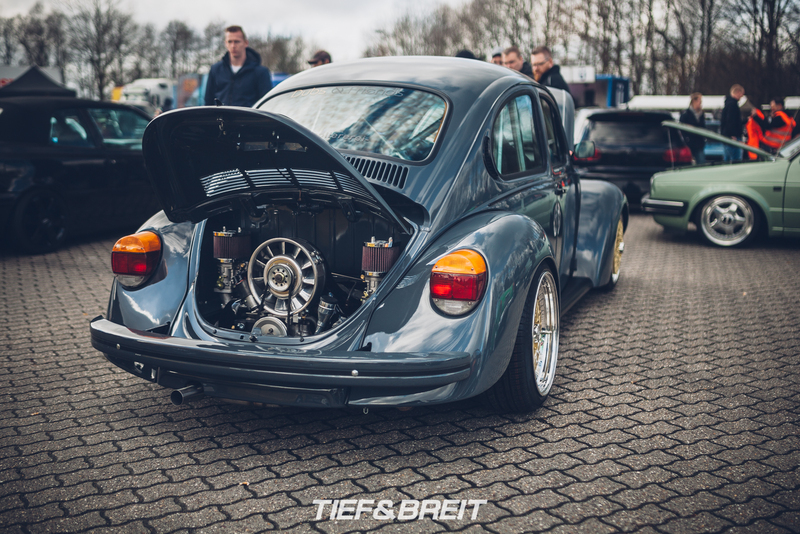 Once again, the guys from Team VW-Speed put on a great show to kick off the year and whet people’s appetites for the coming season. 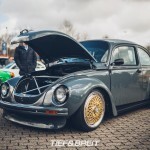 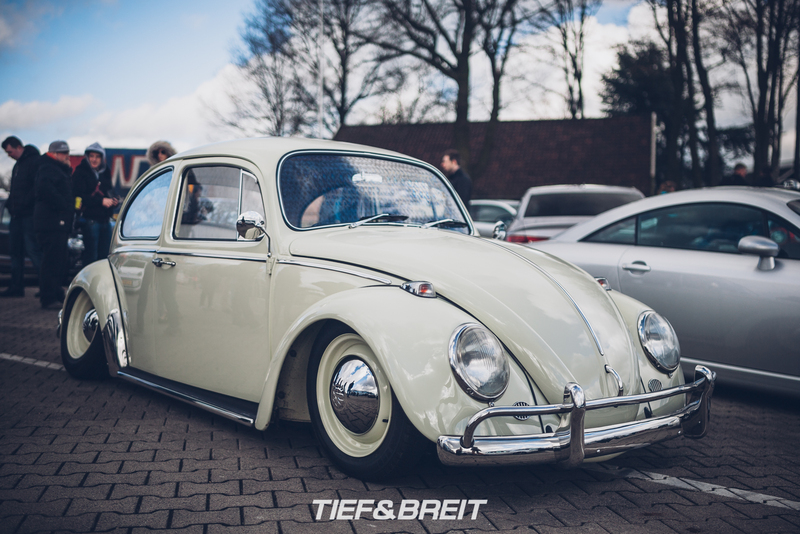 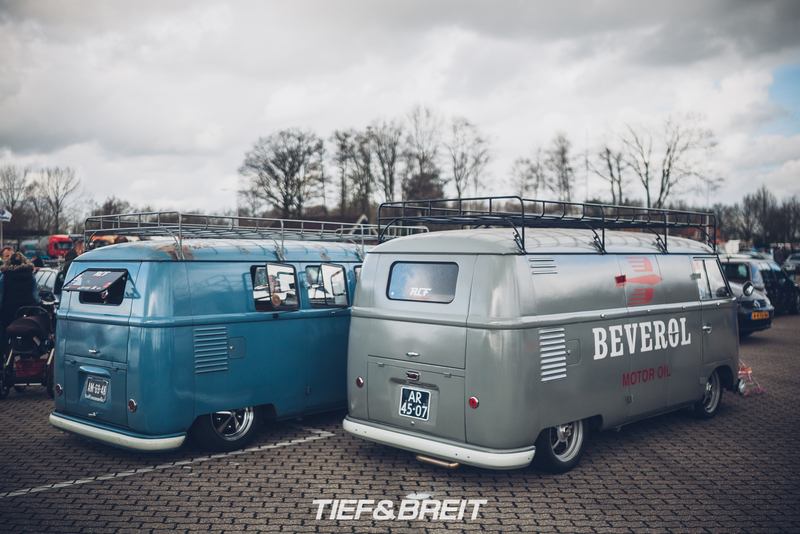 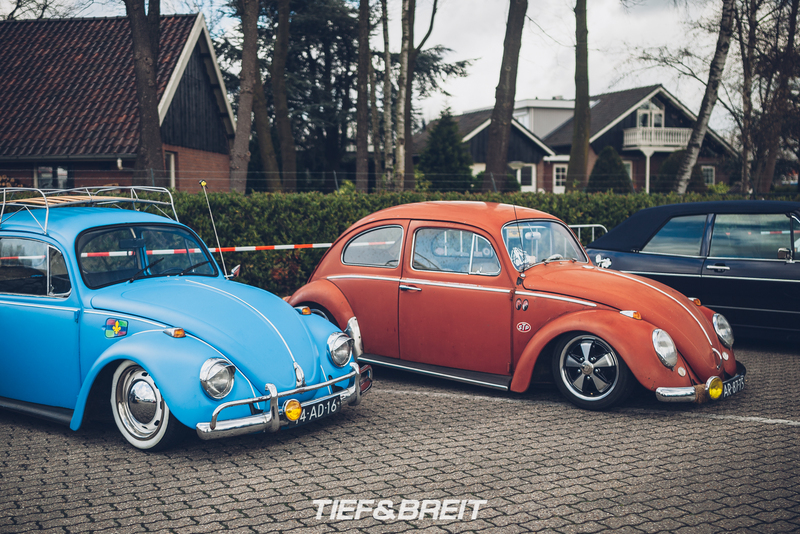 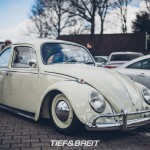 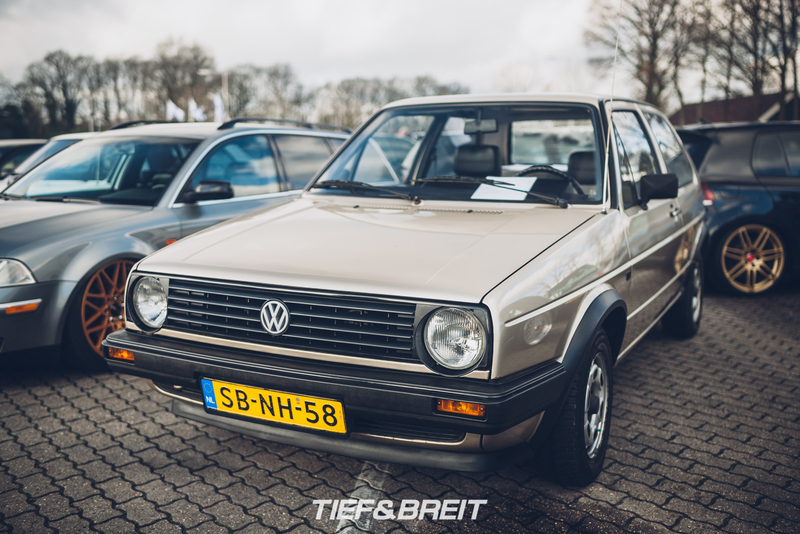 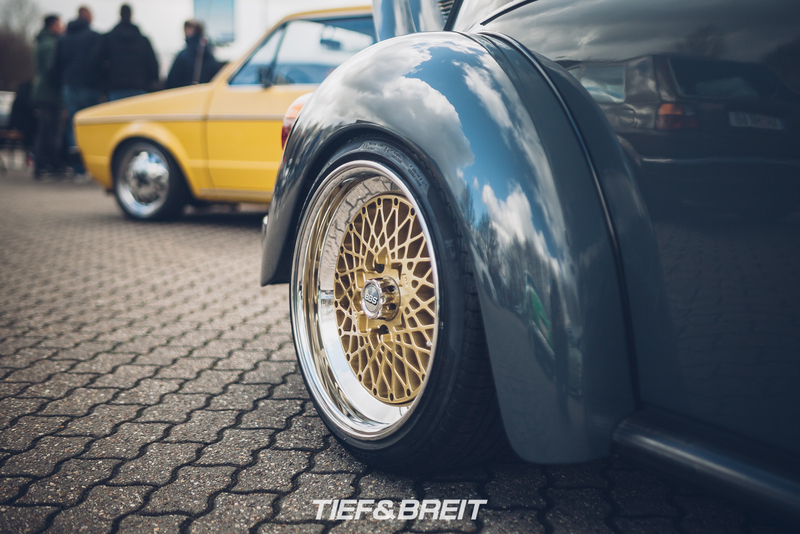 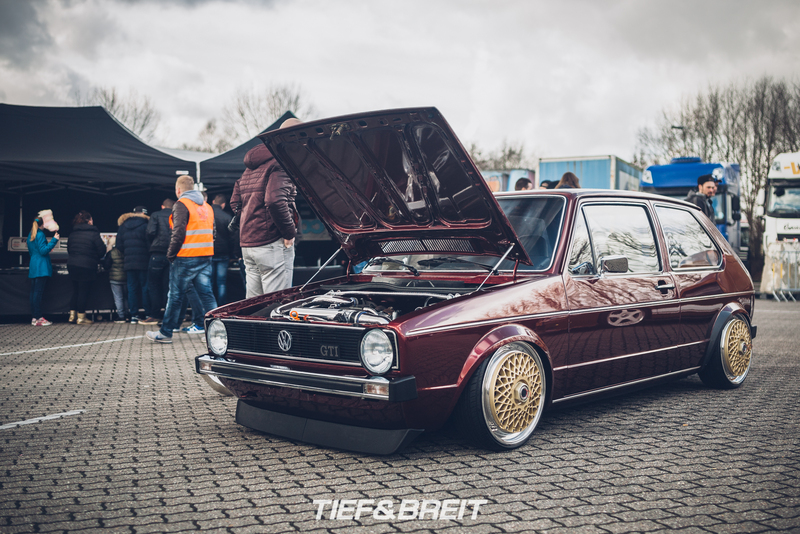 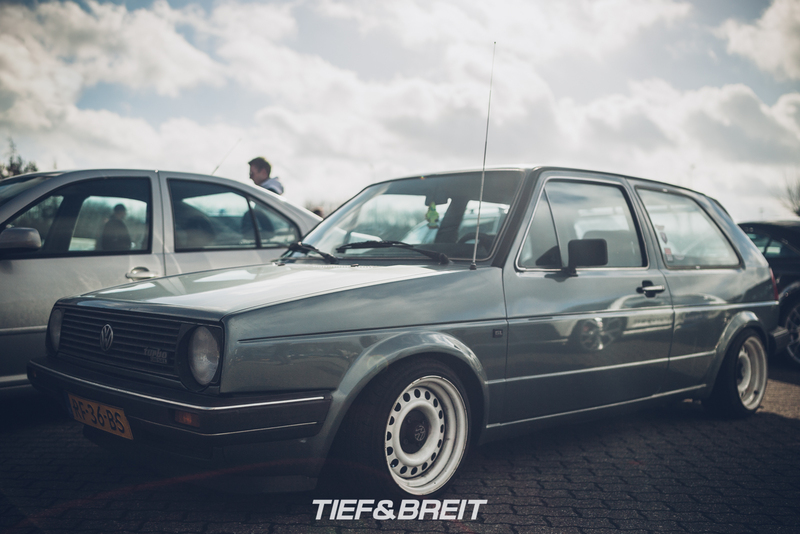 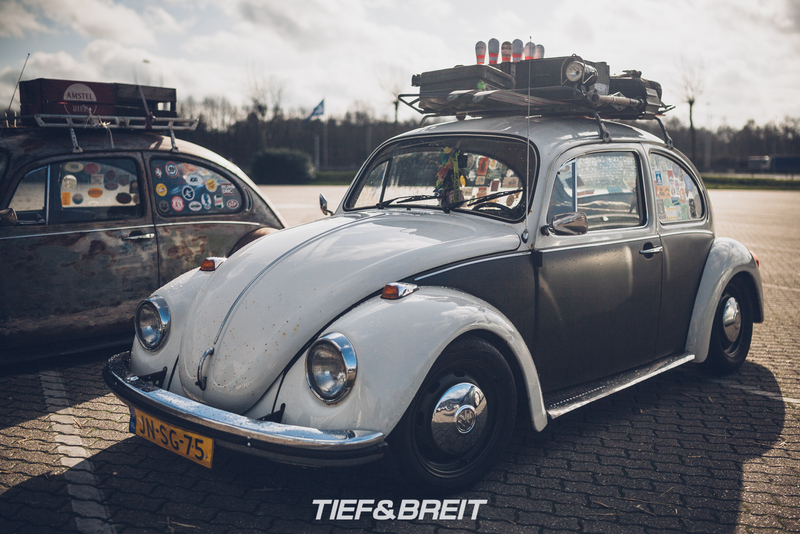 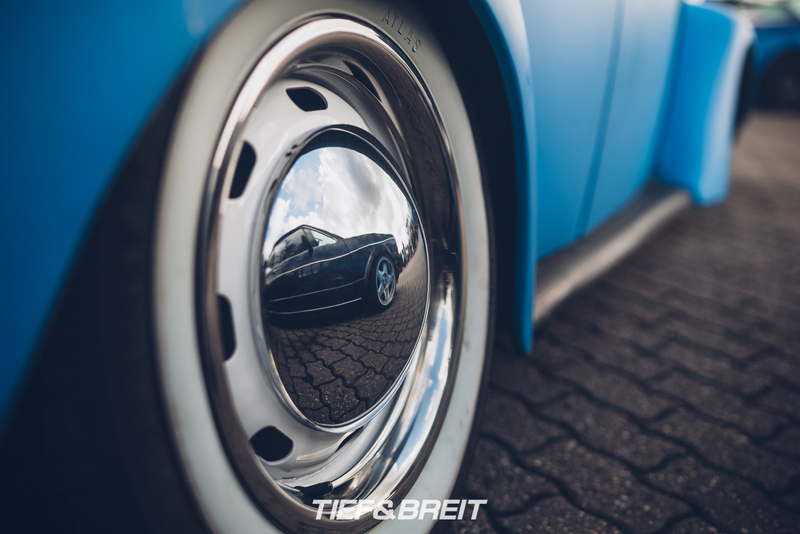 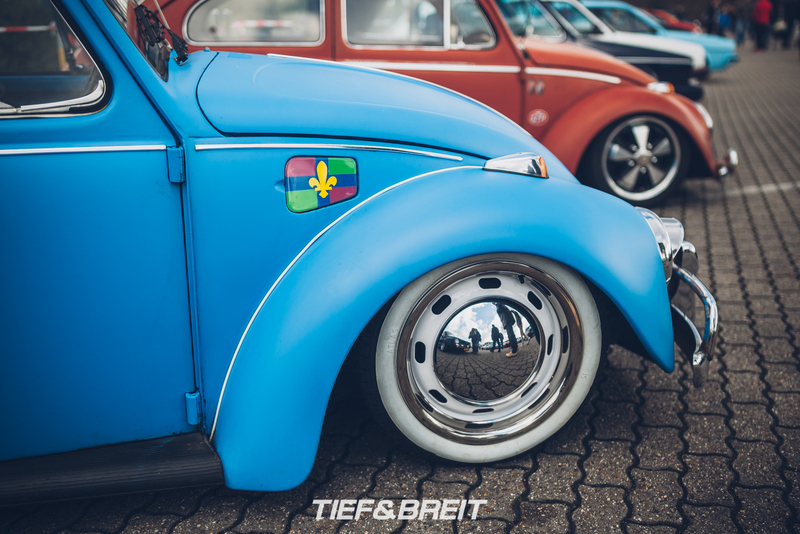 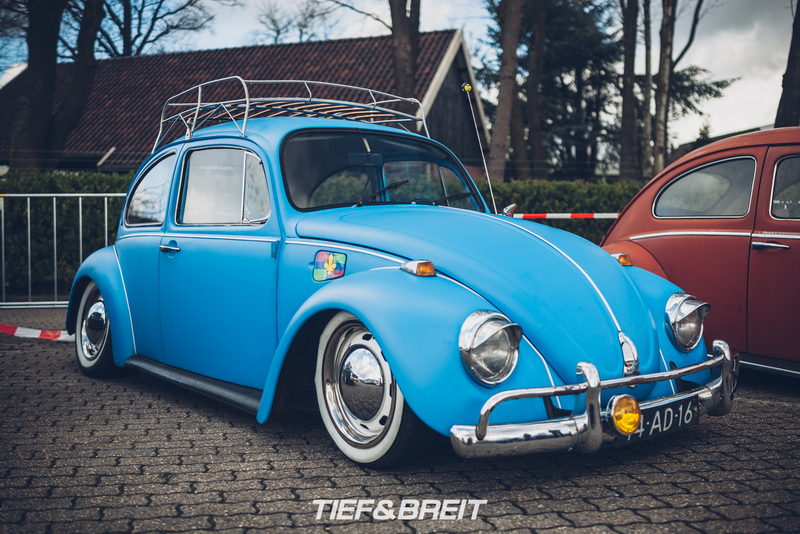 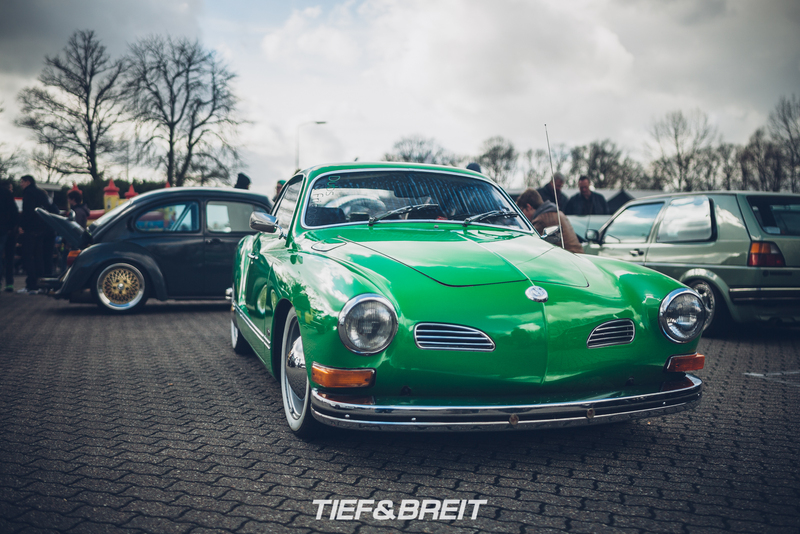 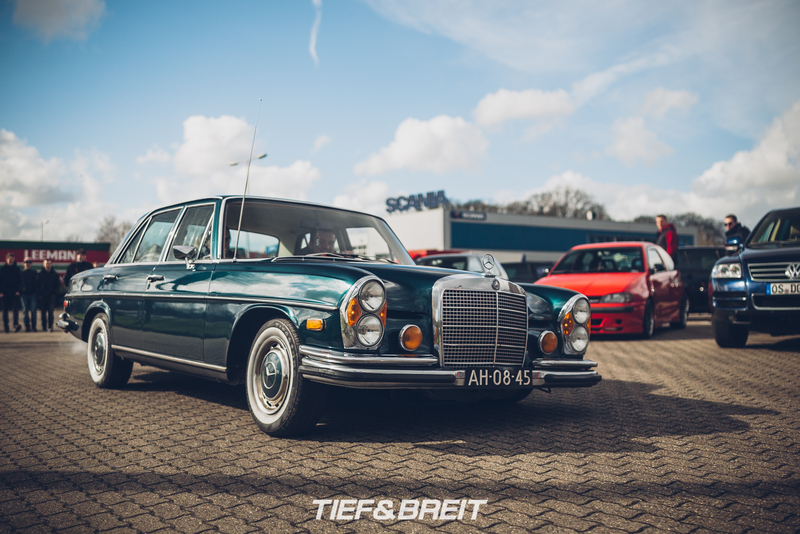 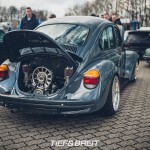 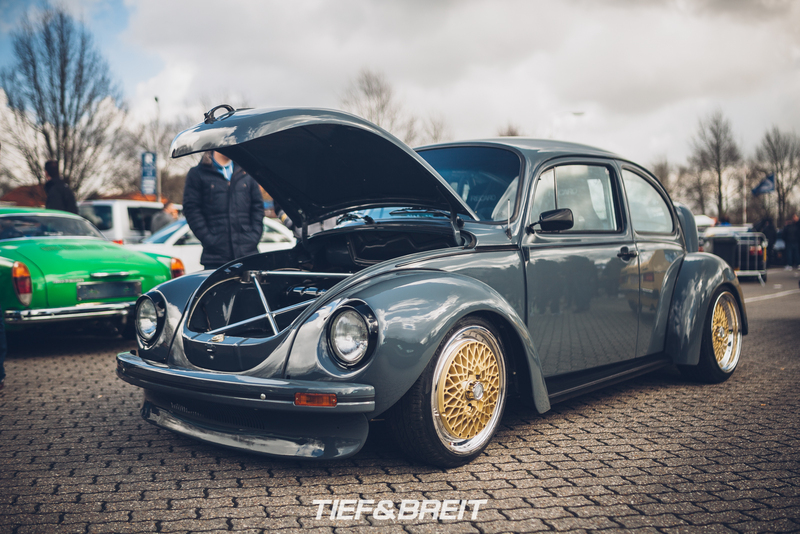 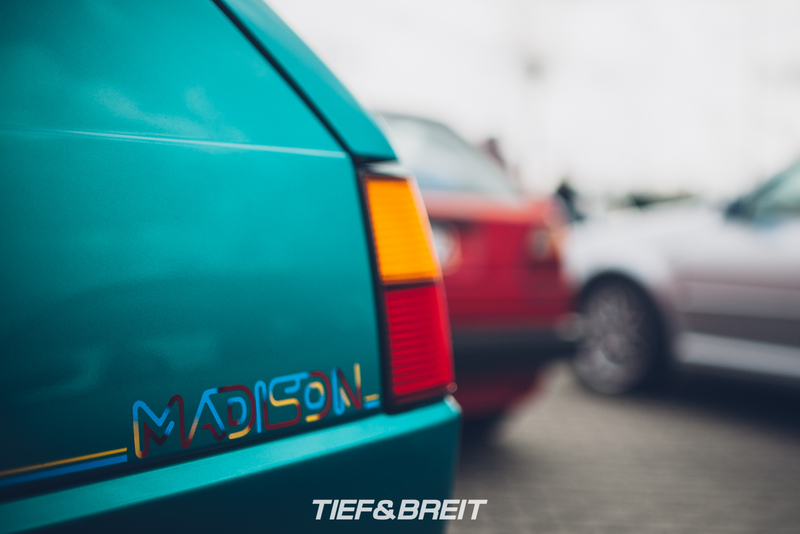 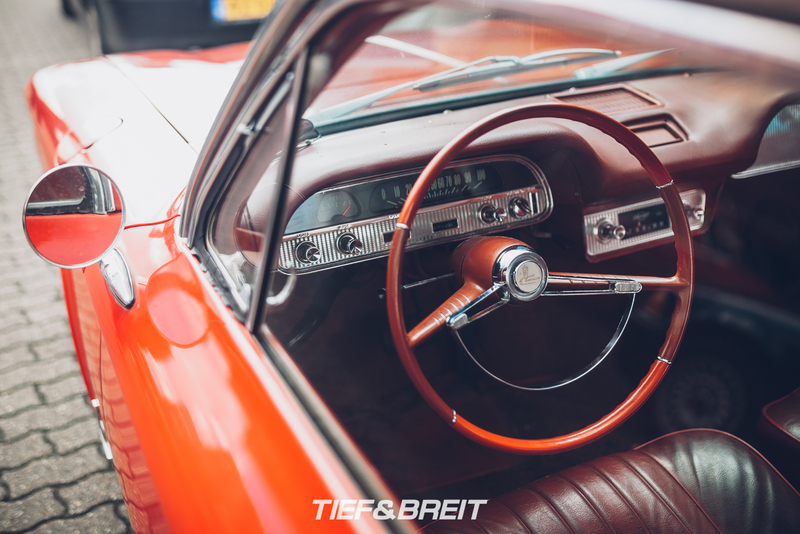 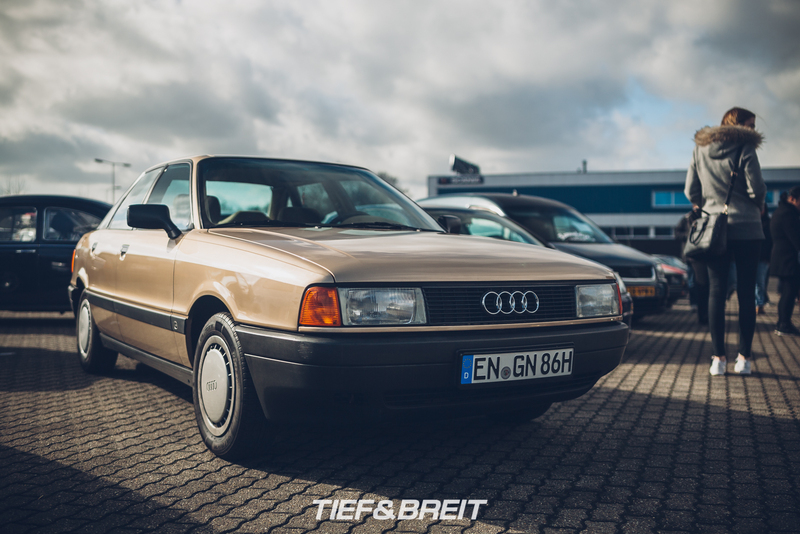 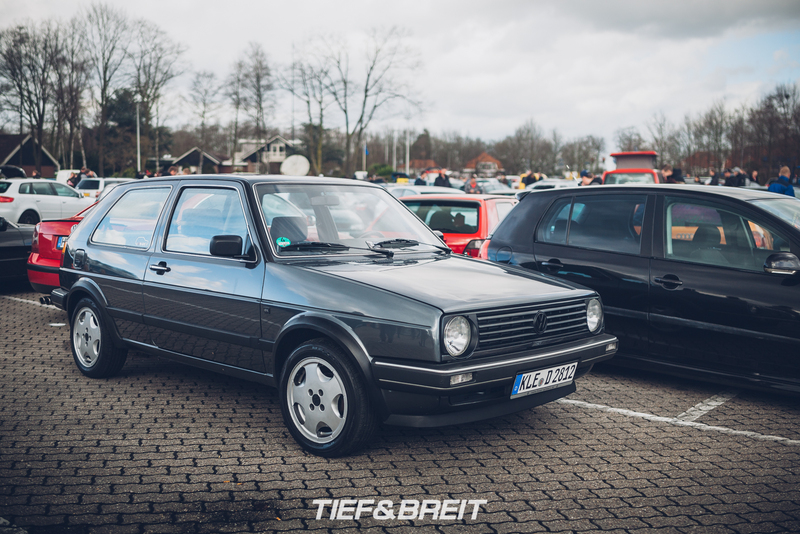 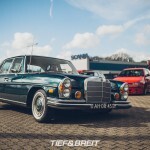 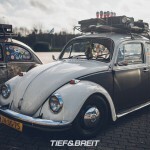 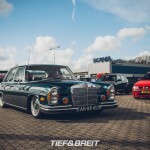 The reasonably good weather for this early in the year resulted in a great turnout and it wasn’t even all VWs and Audis – the visitor’s parking held quite a few spectacular cars as well. 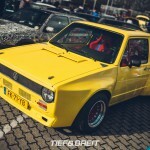 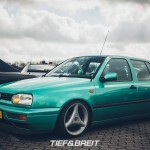 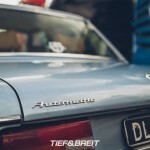 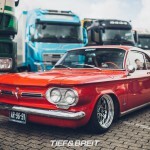 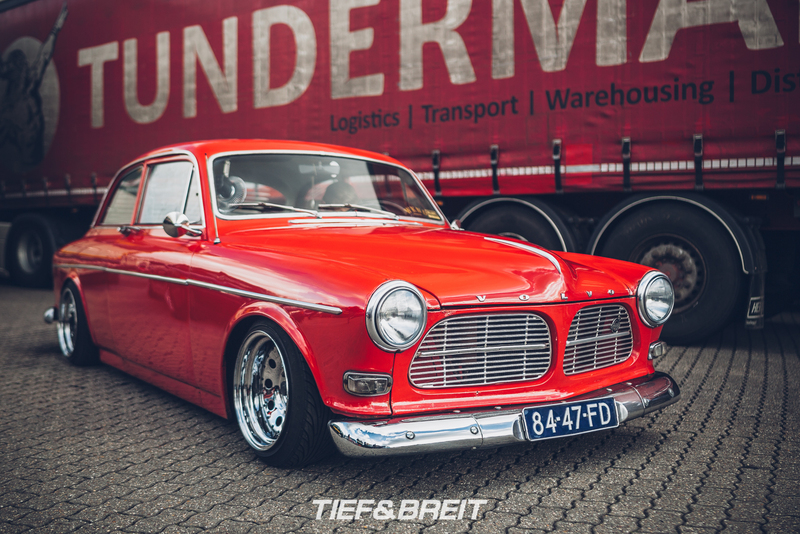 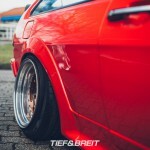 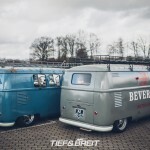 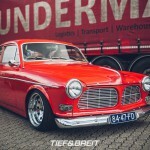 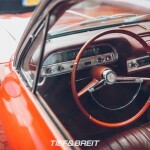 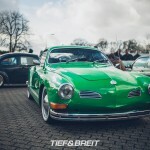 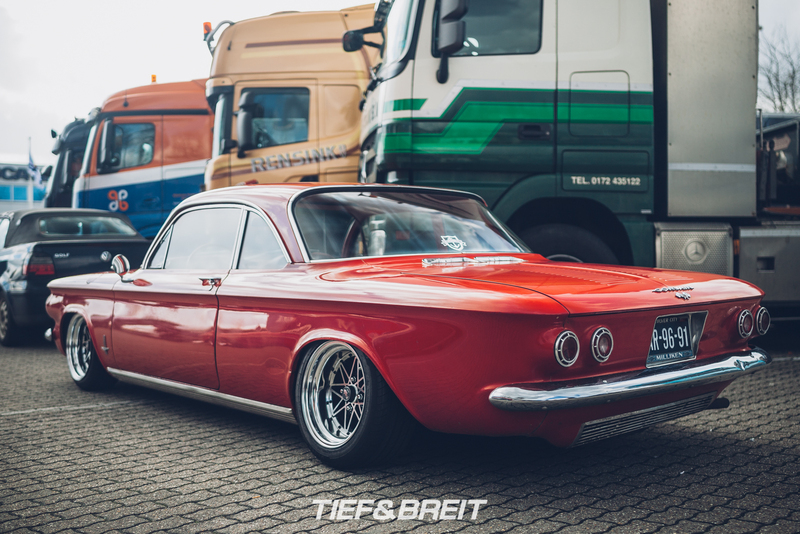 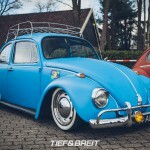 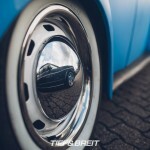 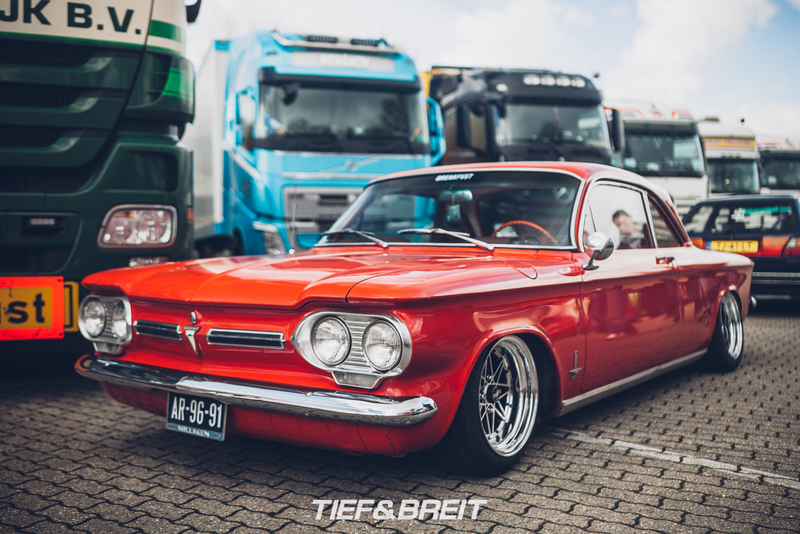 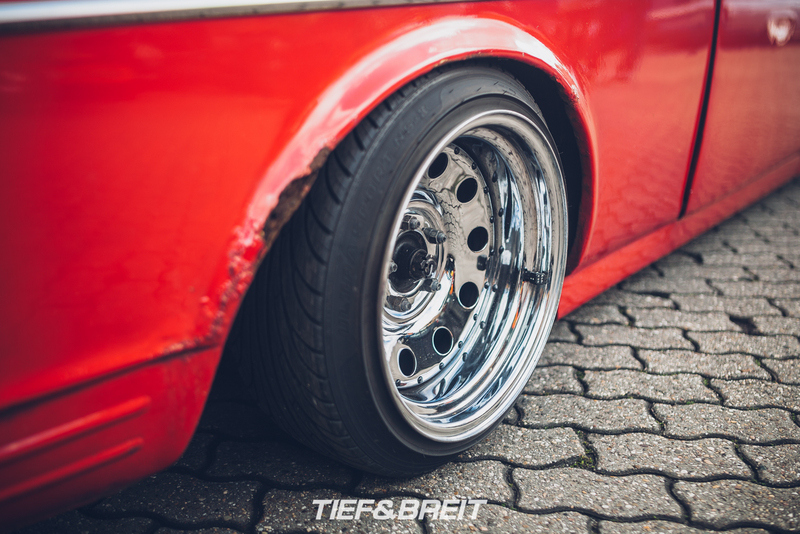 I went together with Andreas Schumacher from FVCKD and Julian Risse, whose Coupe we featured in our last post. 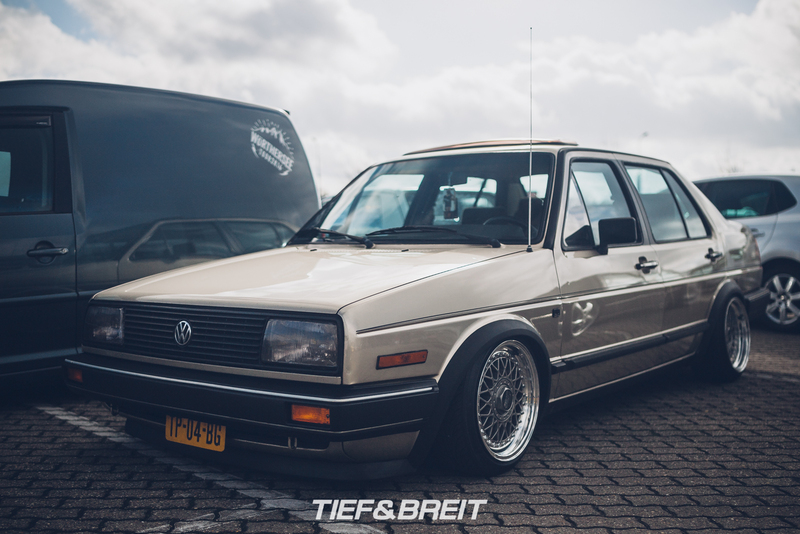 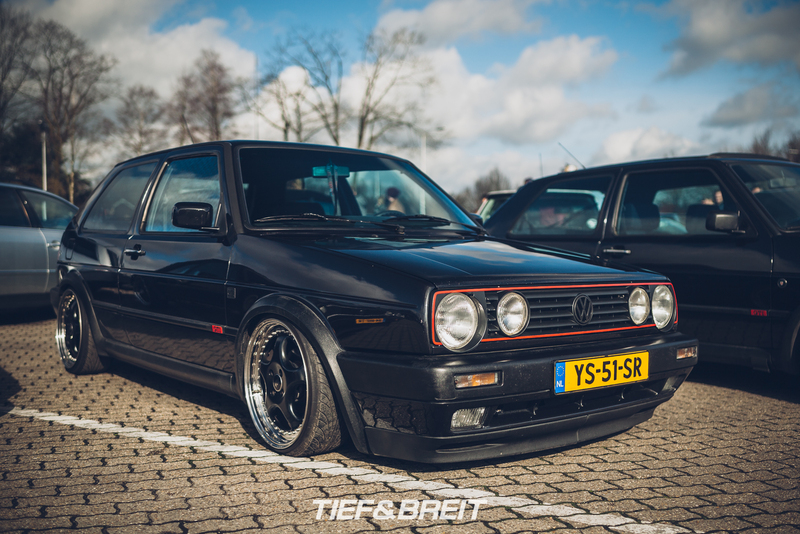 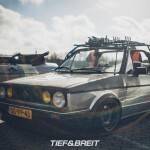 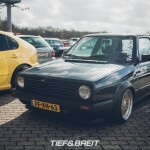 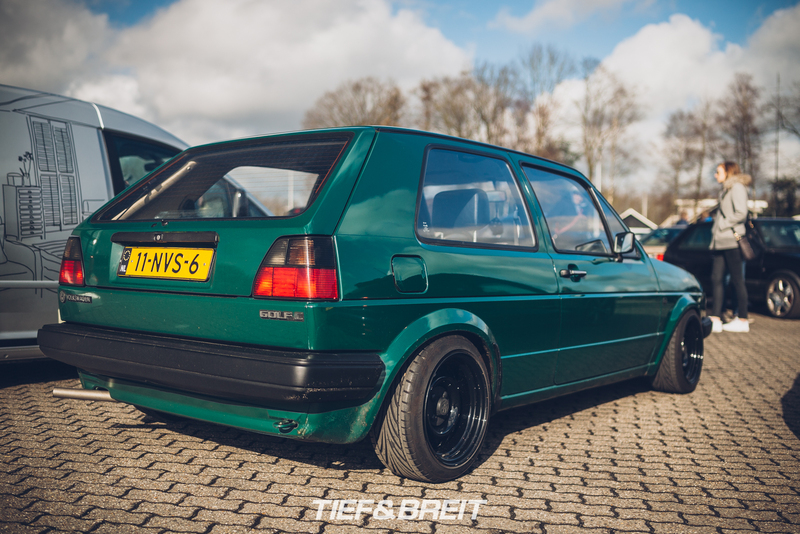 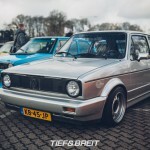 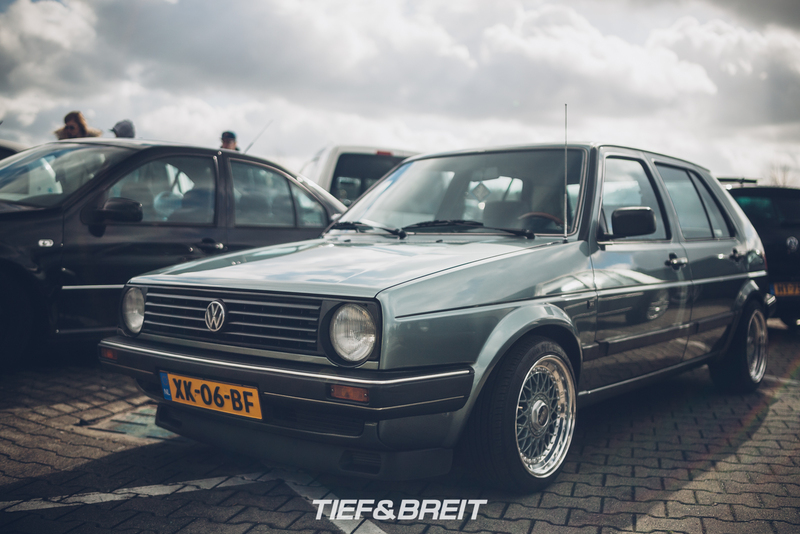 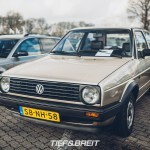 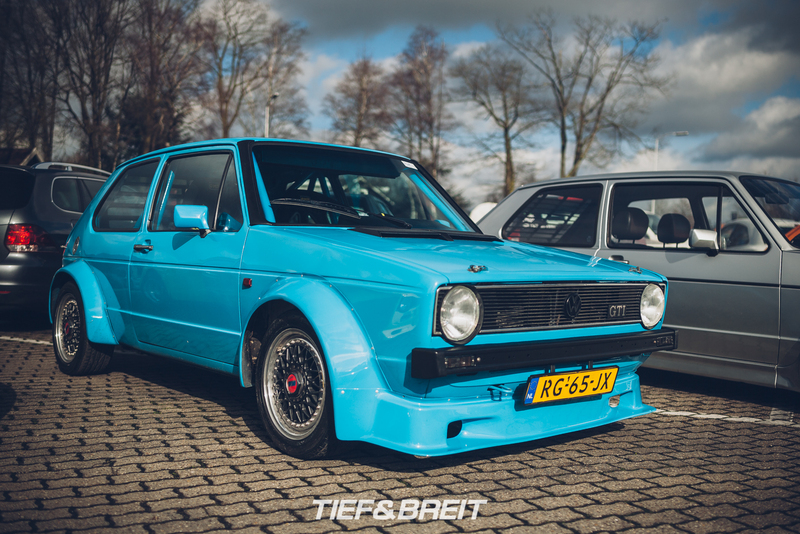 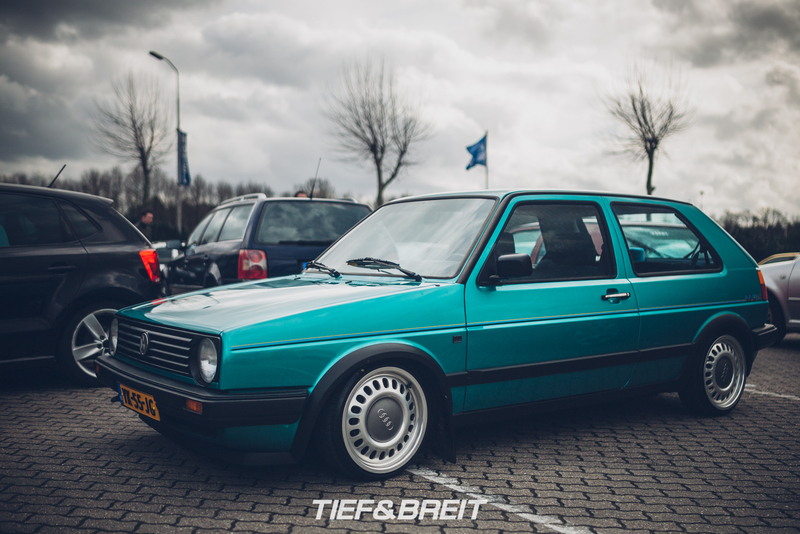 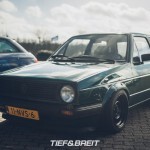 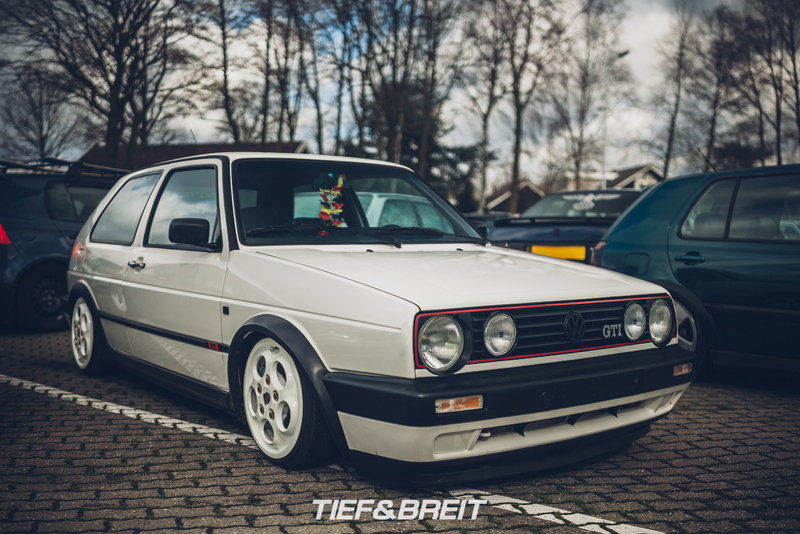 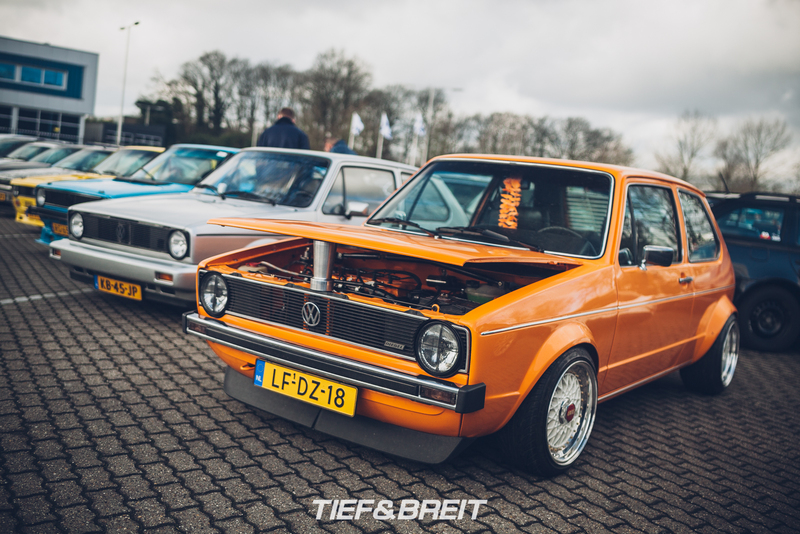 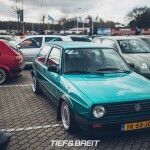 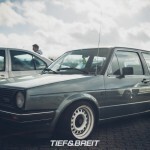 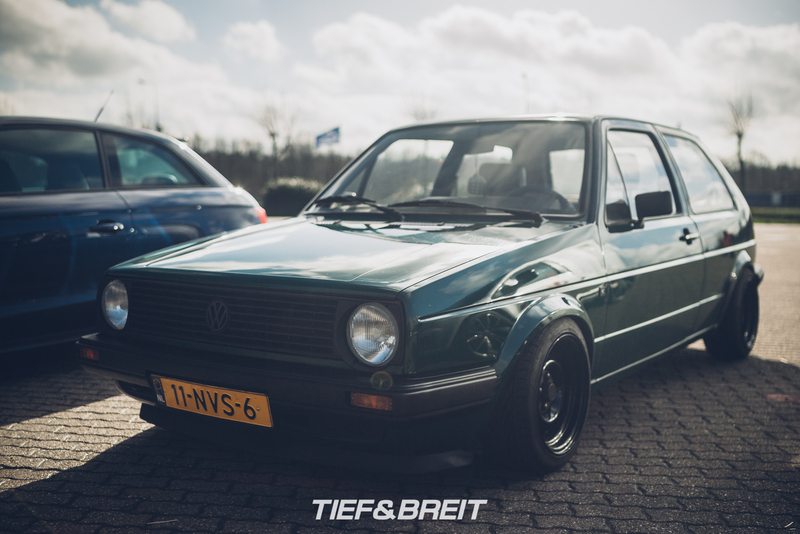 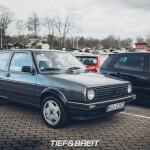 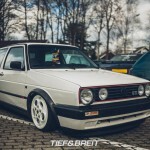 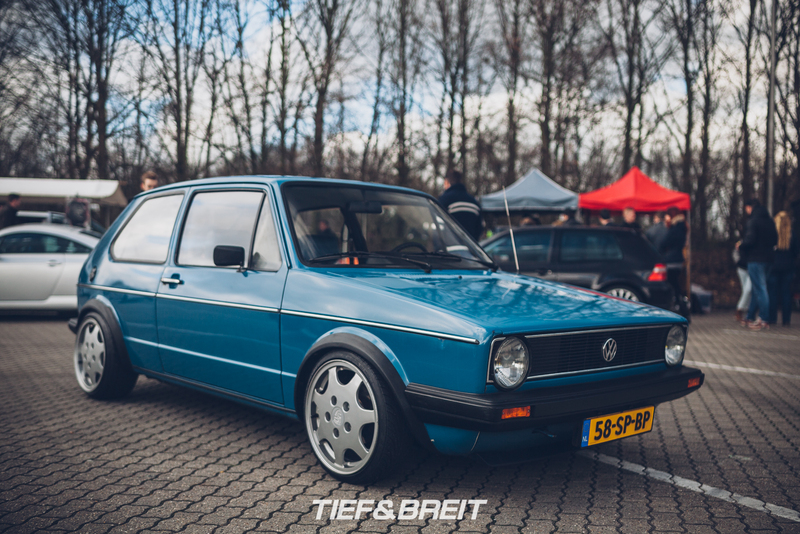 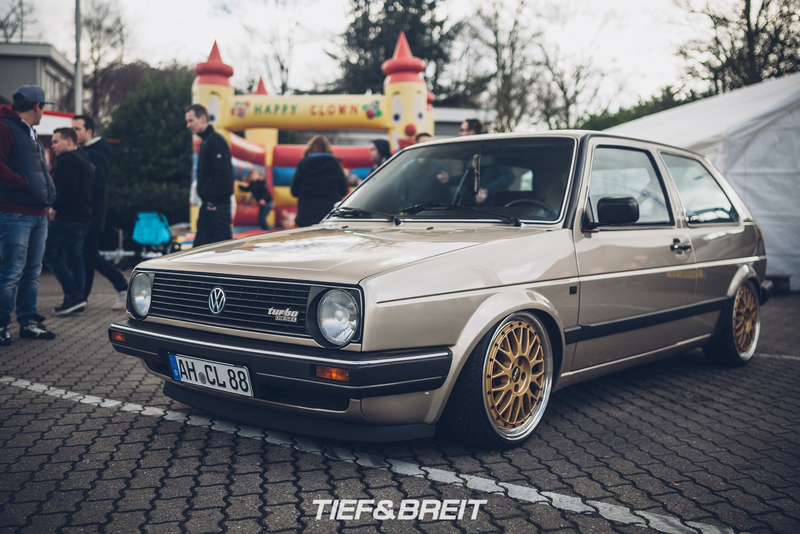 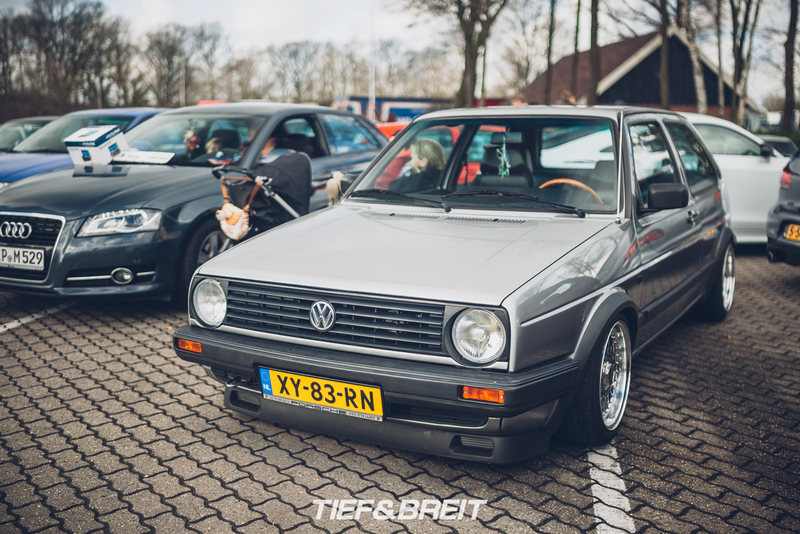 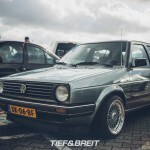 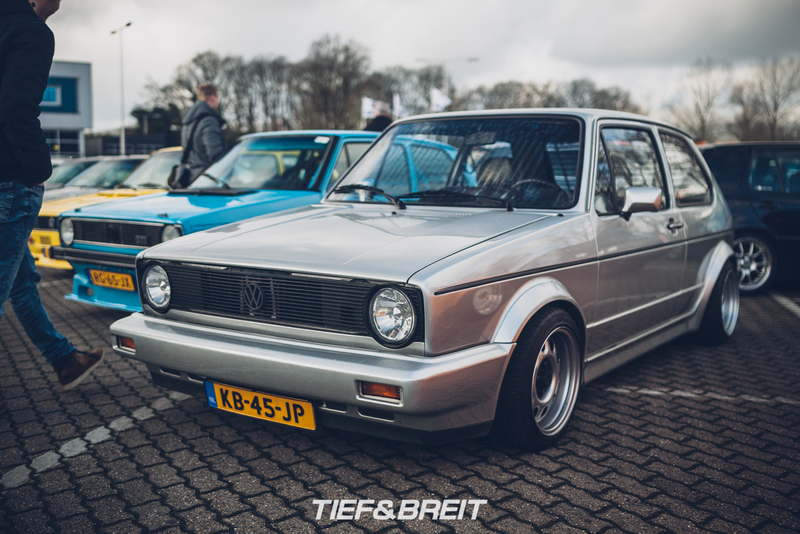 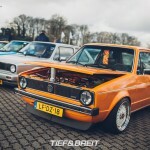 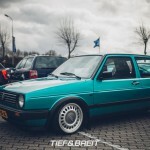 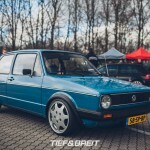 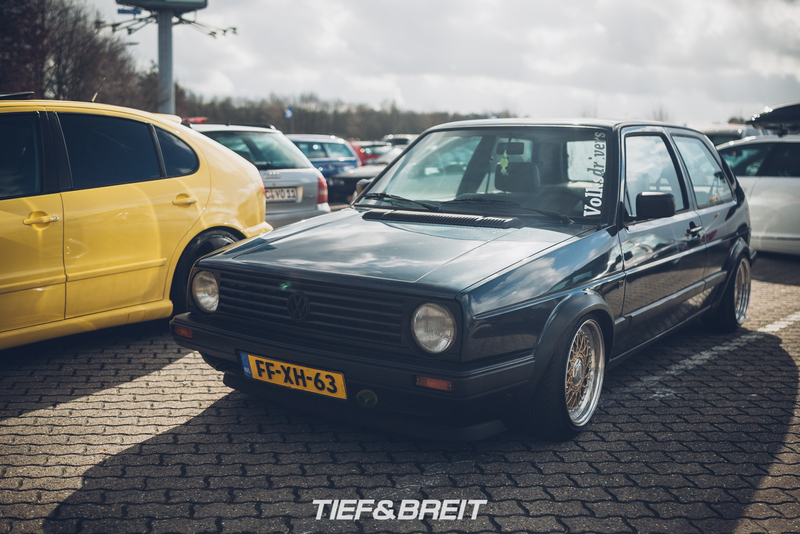 All three of us are currently building a VW Golf Mk2 in our Garages, so we were anxious to hit up the first meeting of the season to get some fresh ideas. 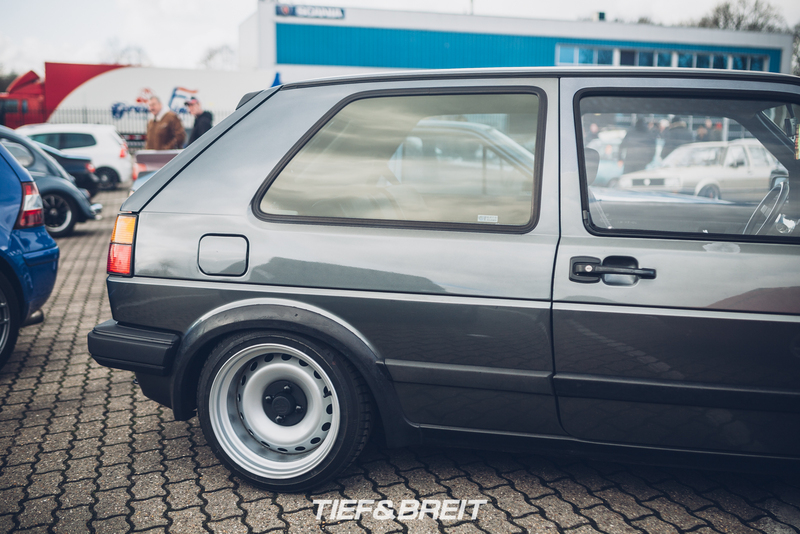 That explains why my coverage might be a bit Mk2 centric… there were quite a few fine examples at the show. 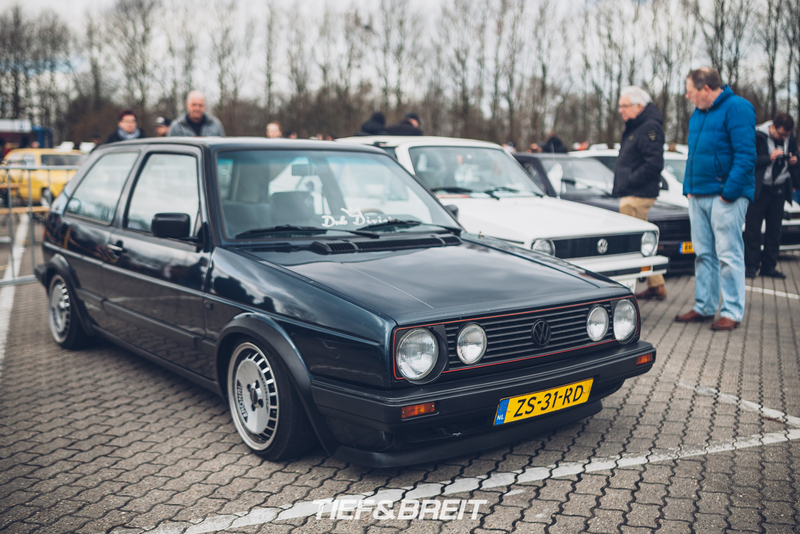 It wasn’t all Mk2s, though. 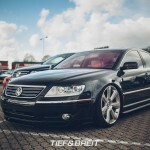 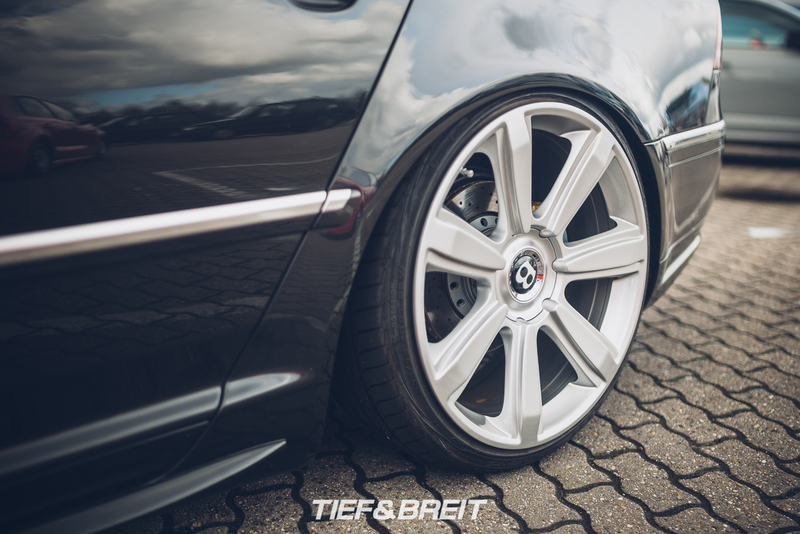 There was a lot of other stuff to see, like this VW Phaeton on massive Bentley wheels. 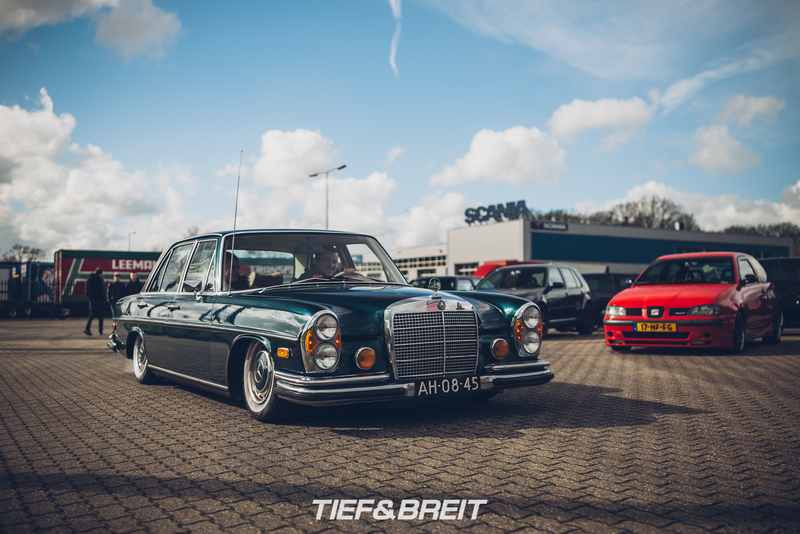 I already said that the visitor’s parking held quite a few interesting cars as well – one of them being this old school Mercedes. 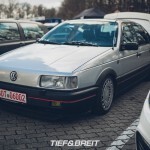 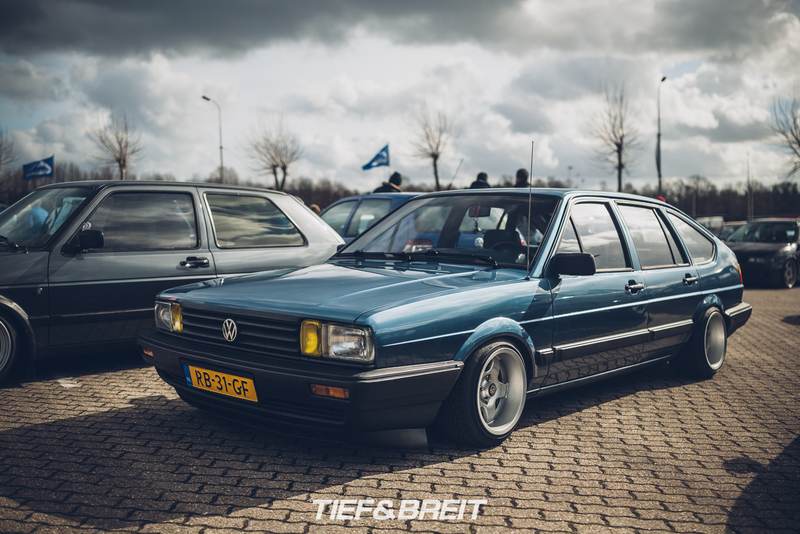 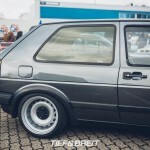 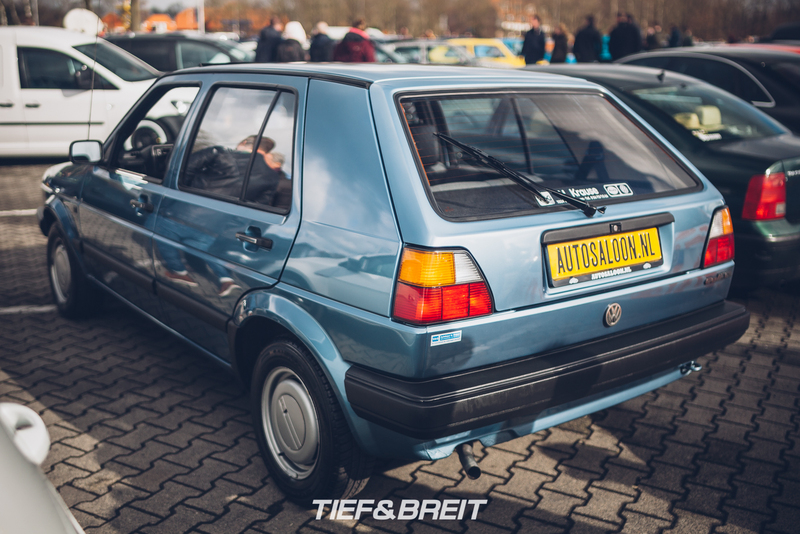 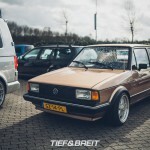 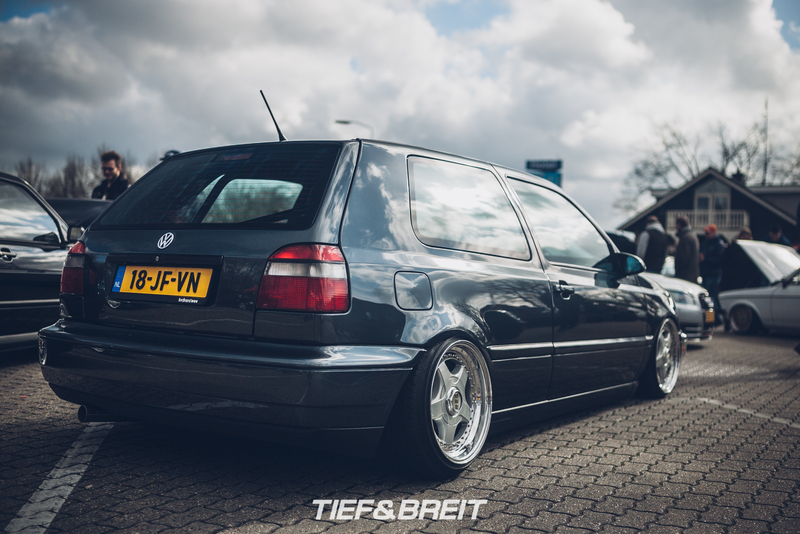 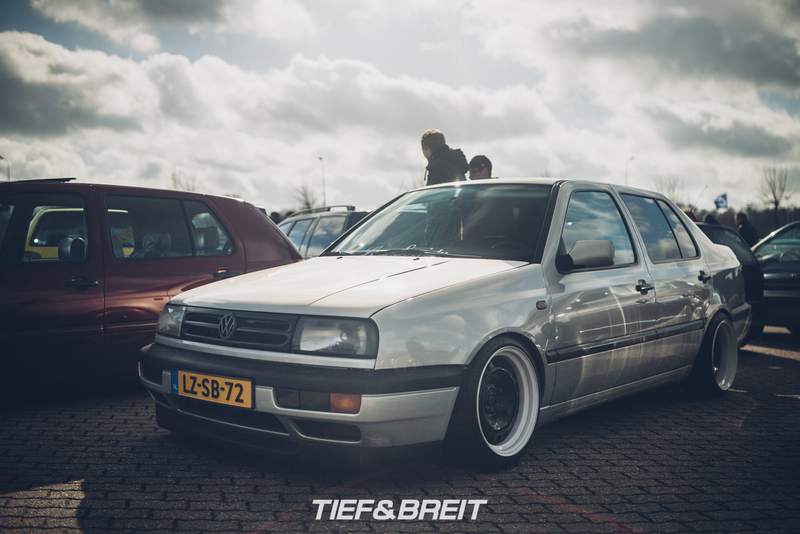 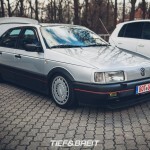 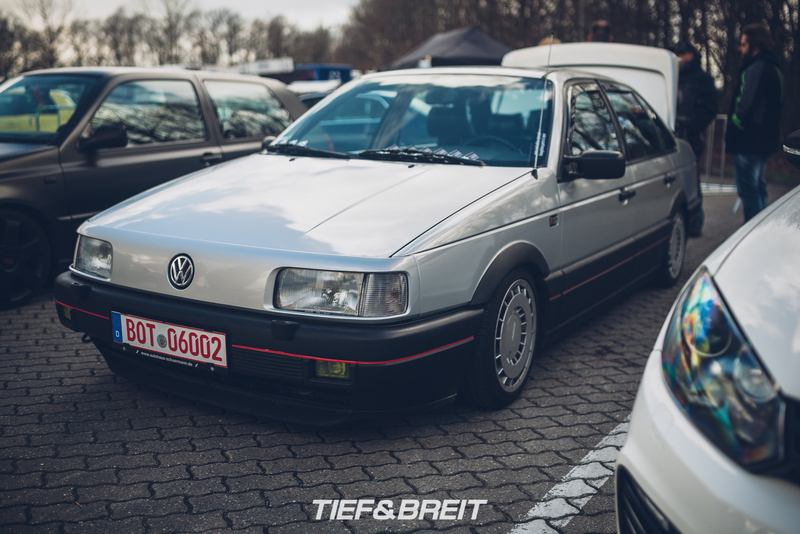 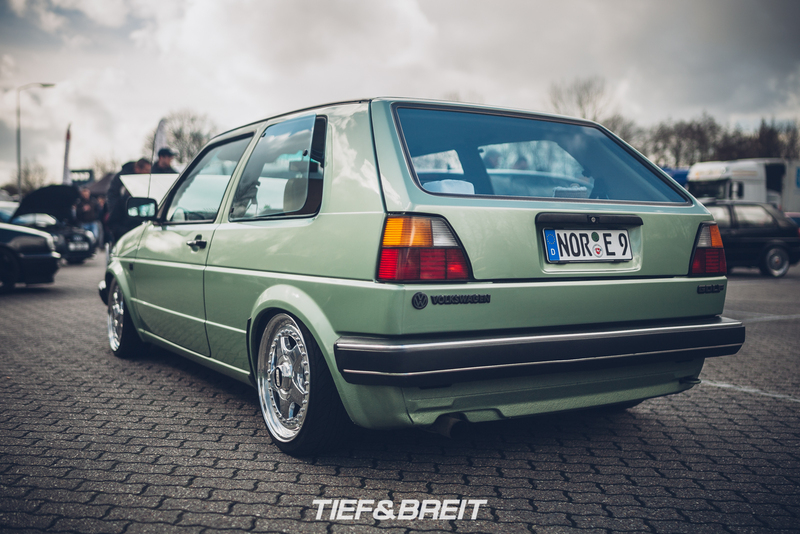 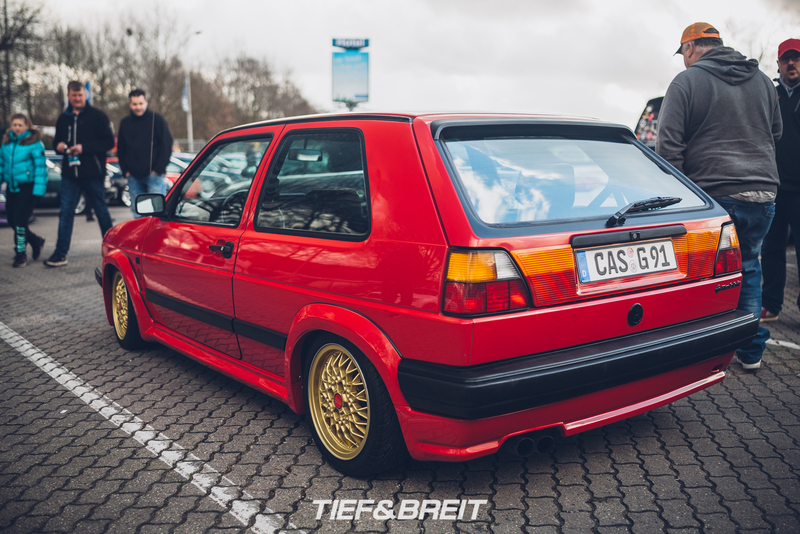 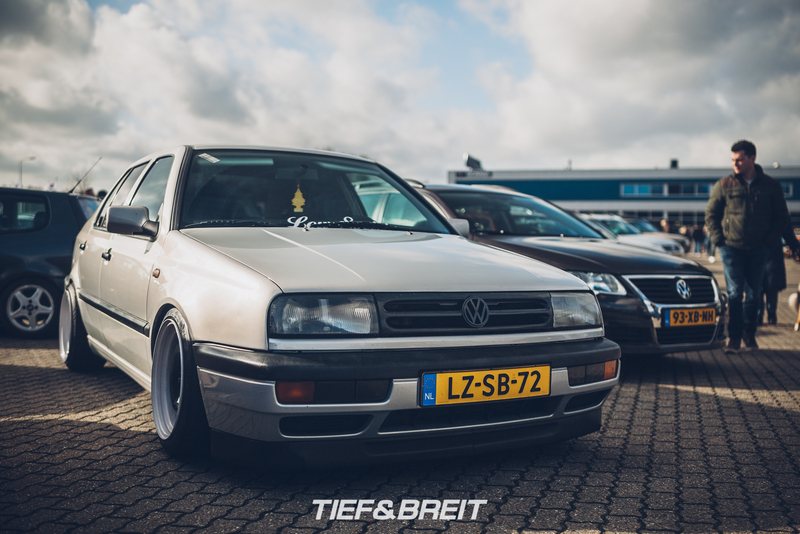 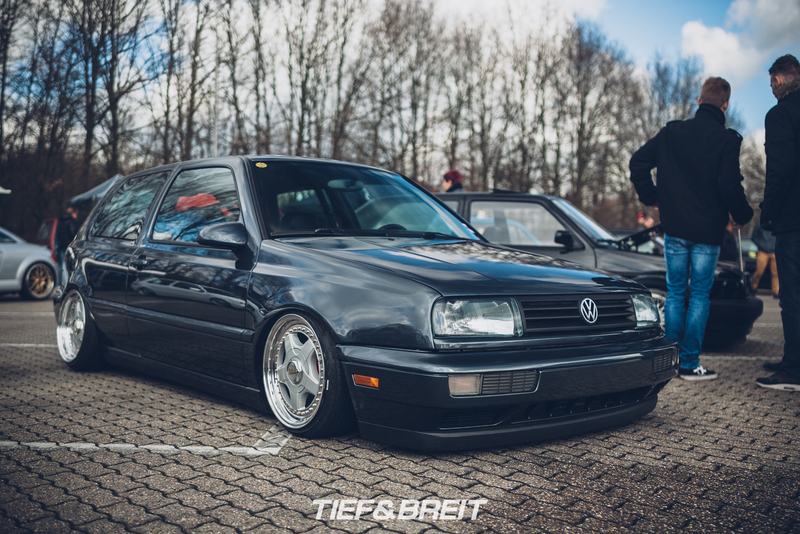 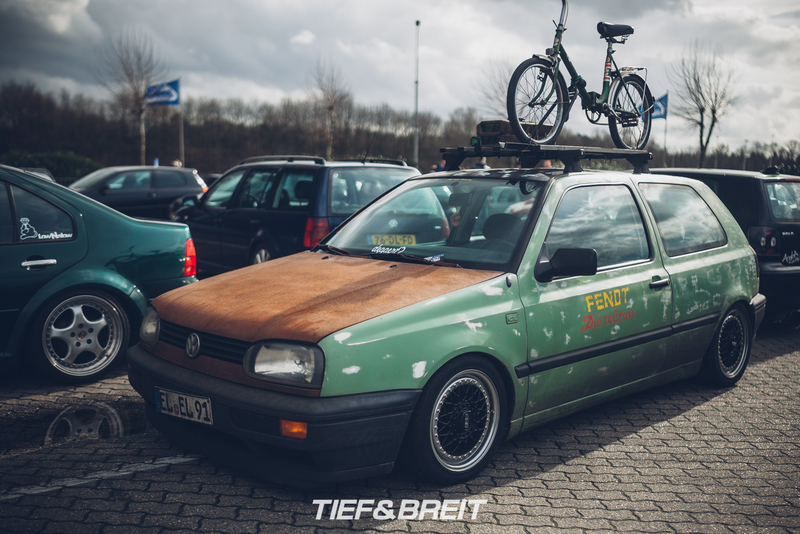 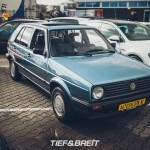 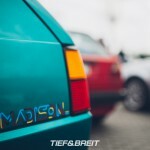 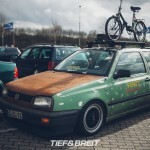 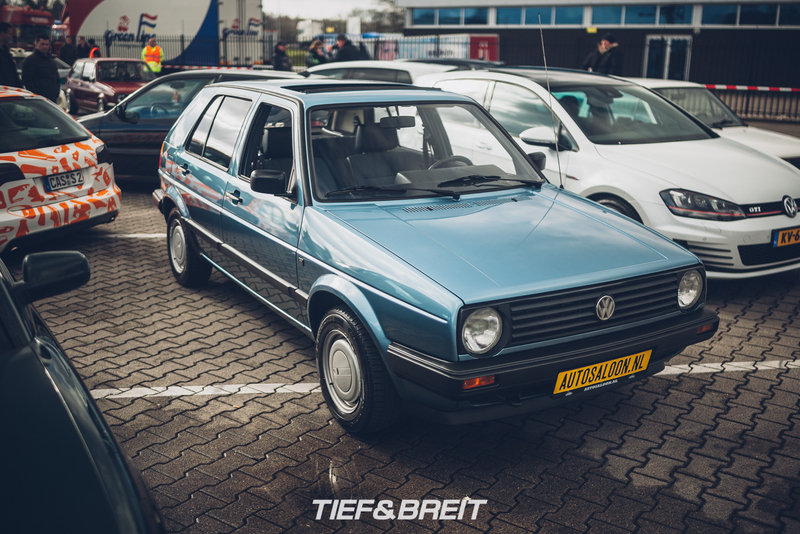 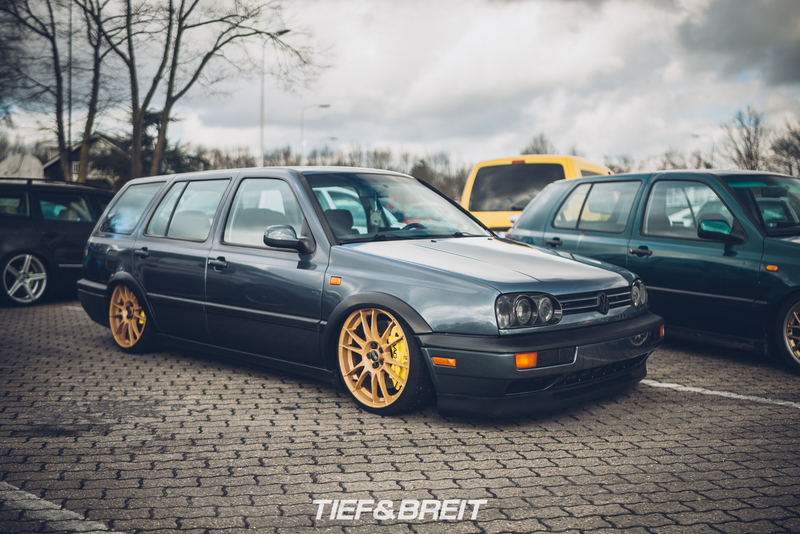 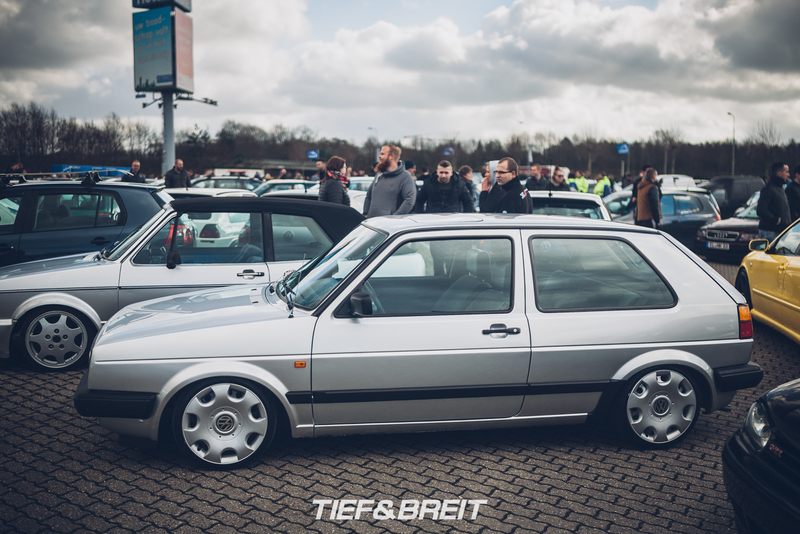 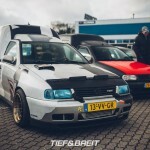 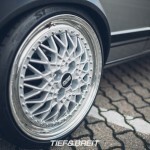 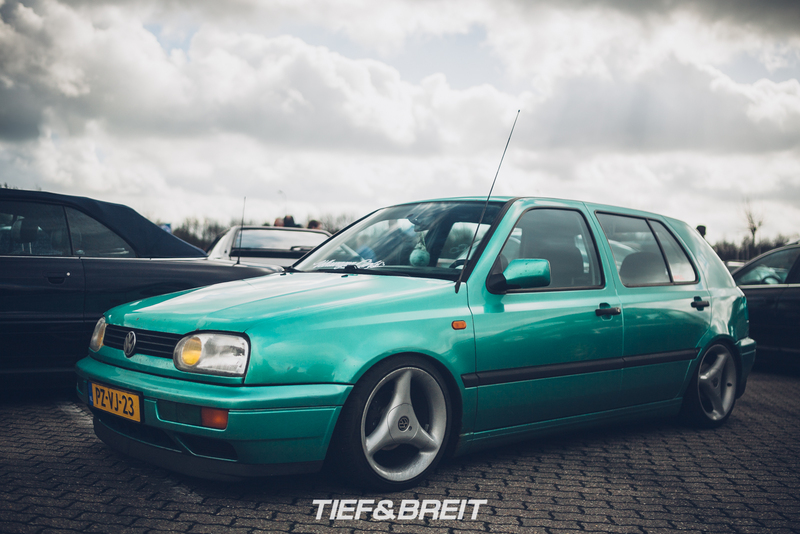 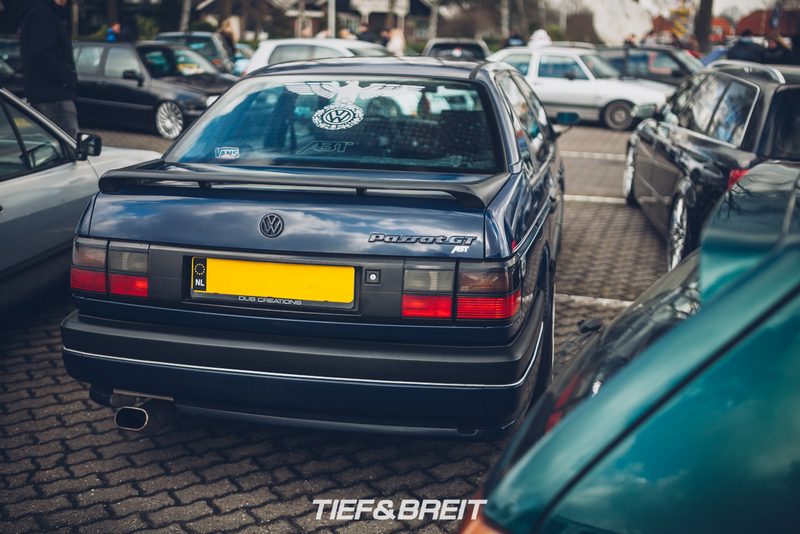 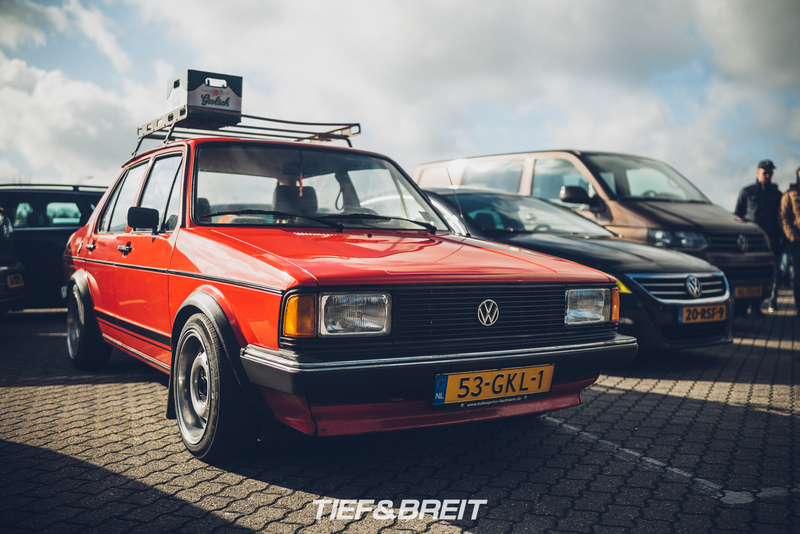 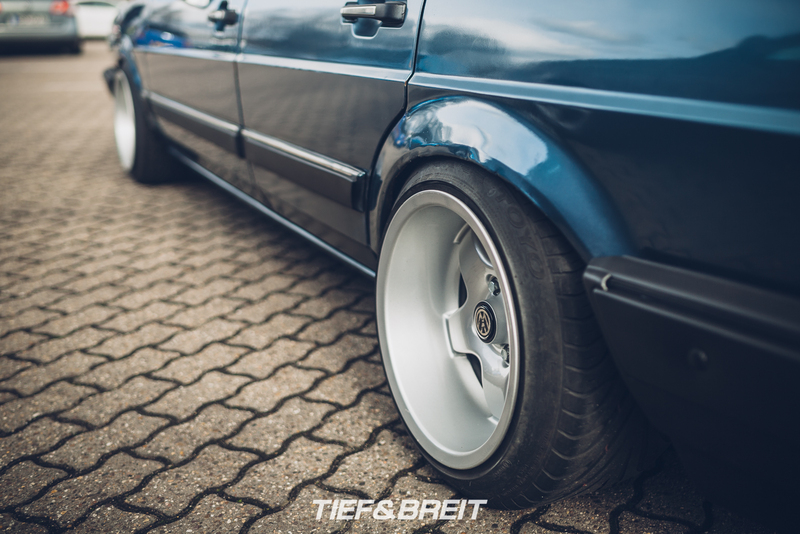 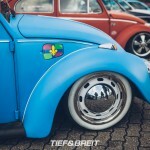 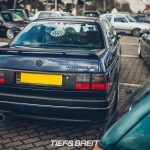 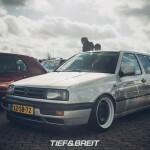 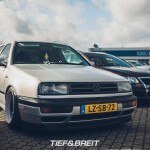 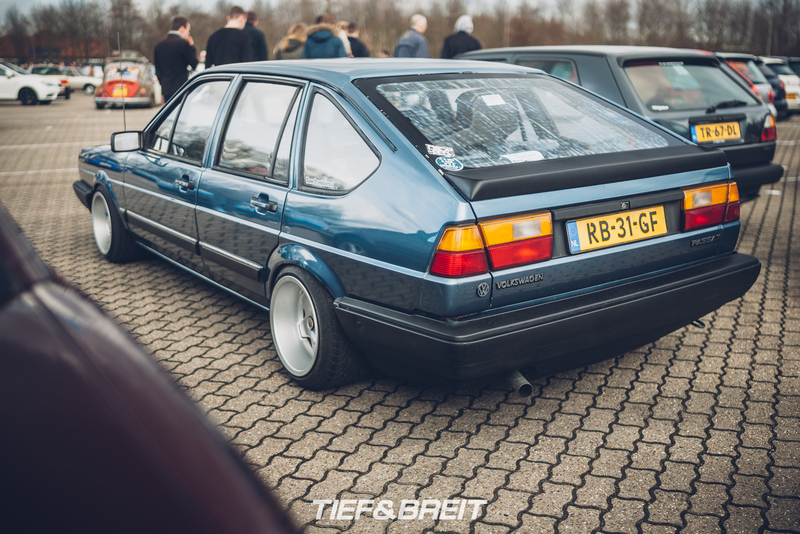 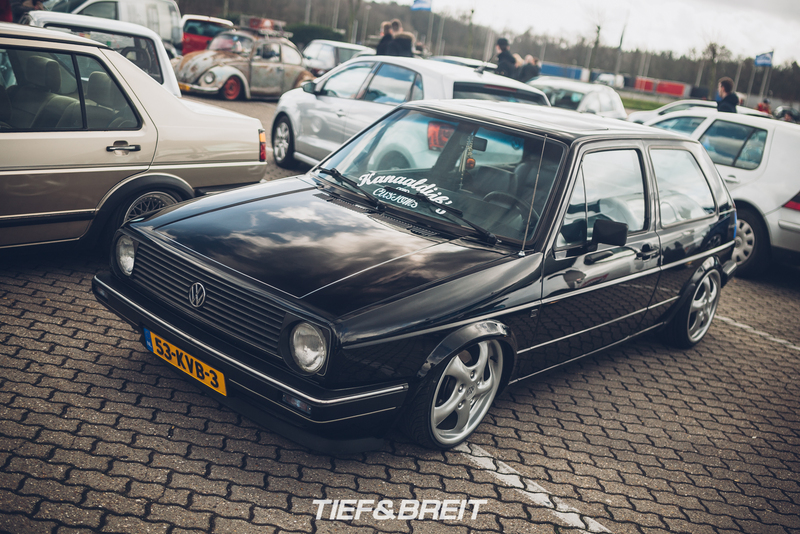 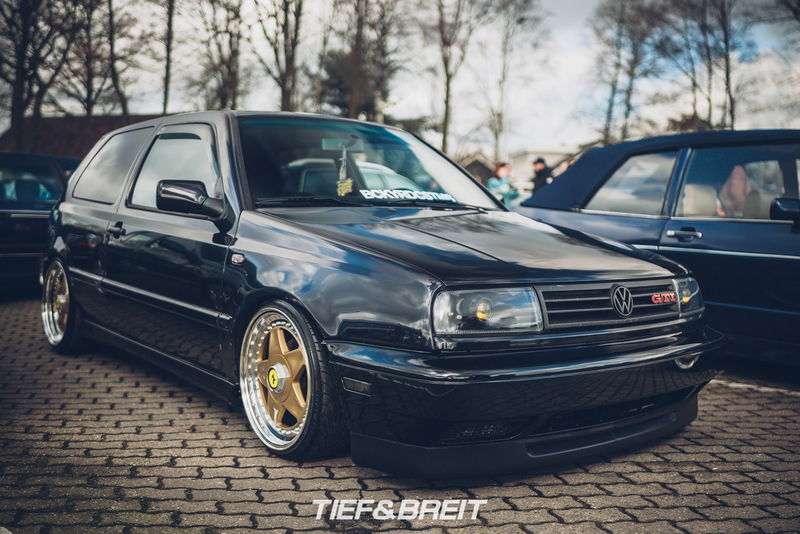 This Passat B2 absolutely tickled my retro fetish – dropped on Steffan BCWs in what looks like 9×14 and 10×14, this thing looked like it came straight from the late 80ies or early 90ies. 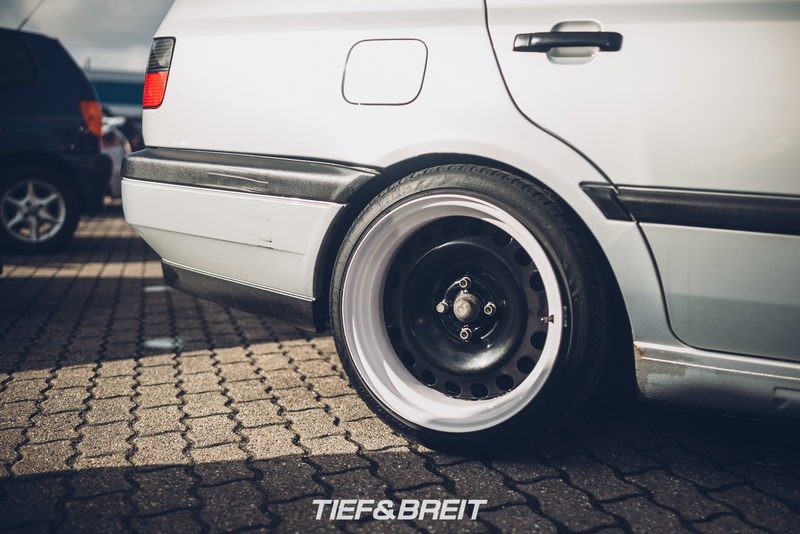 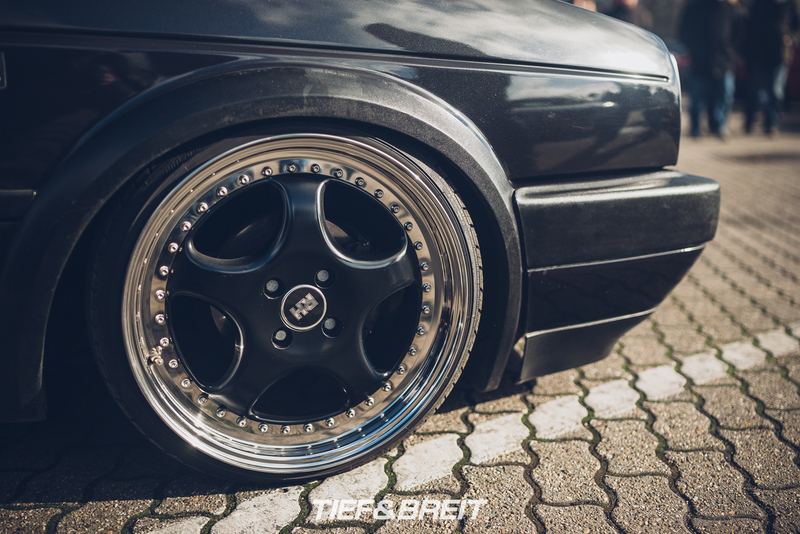 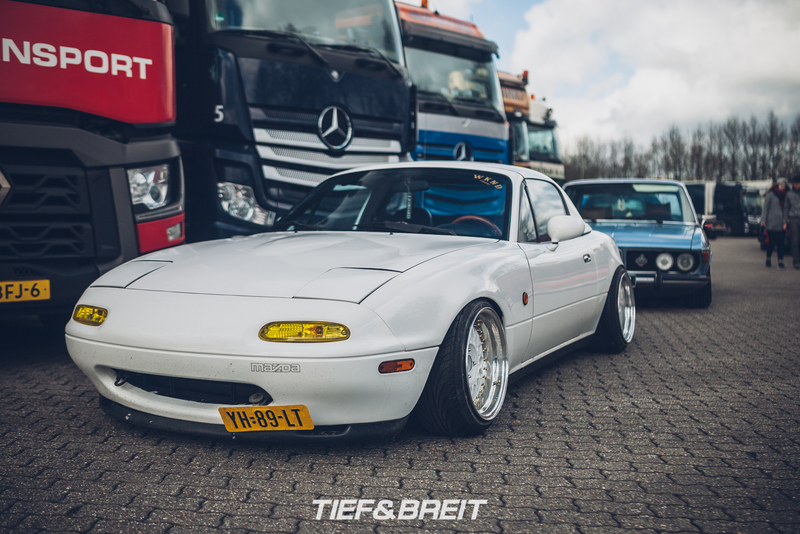 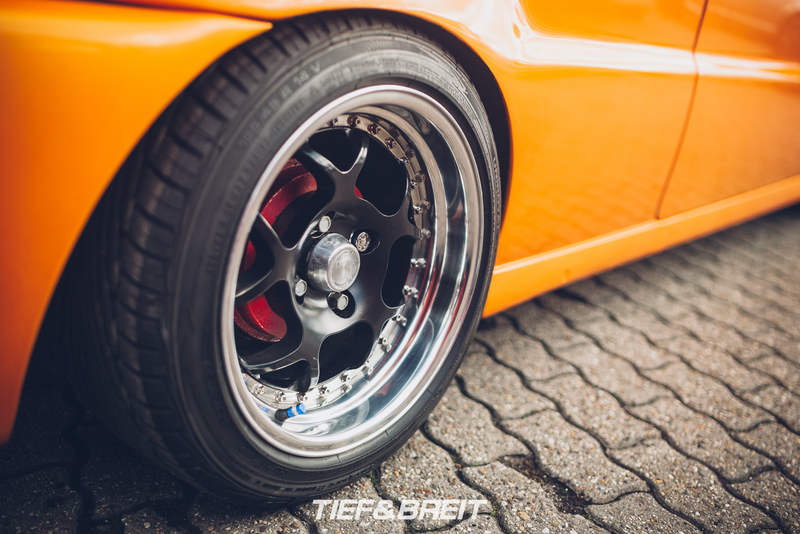 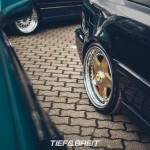 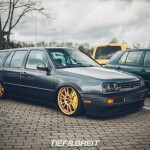 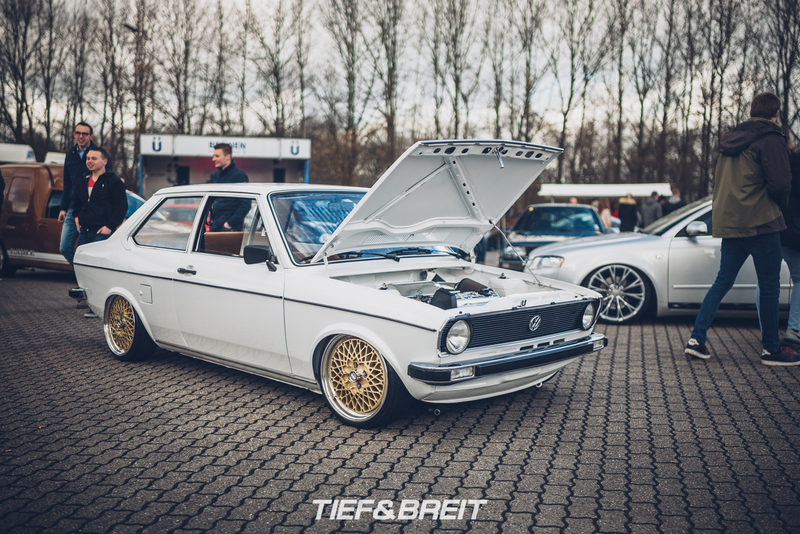 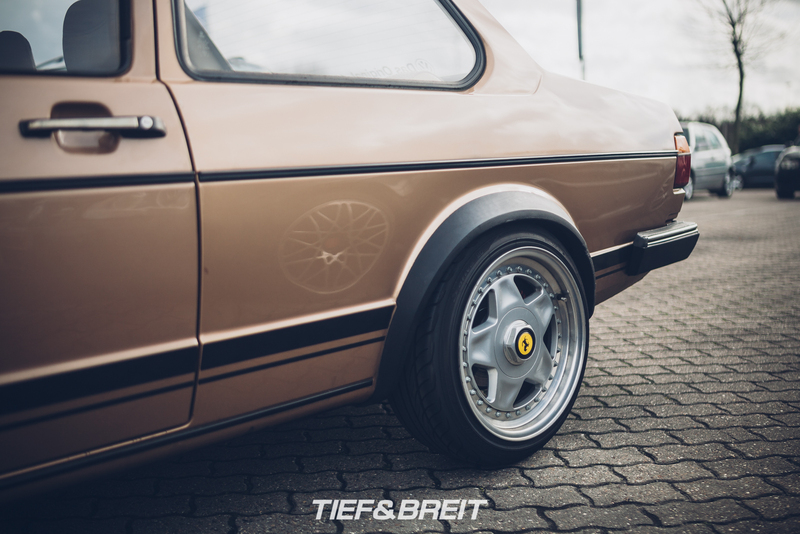 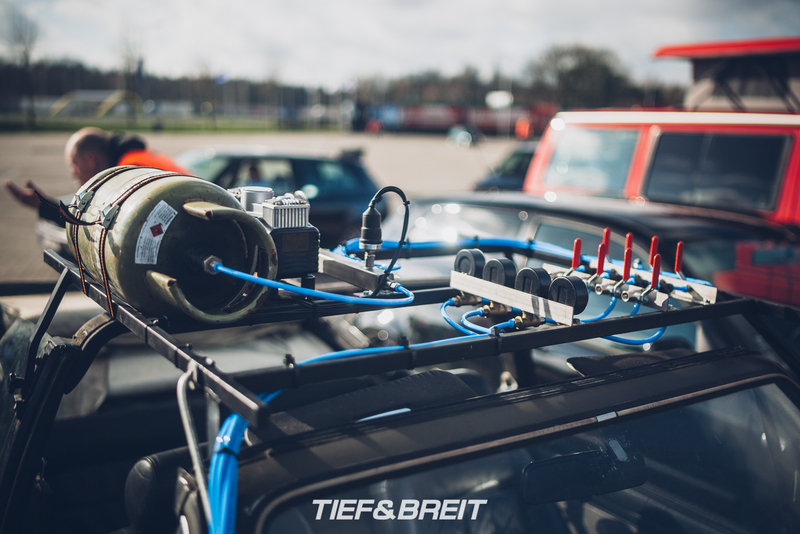 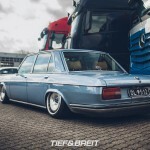 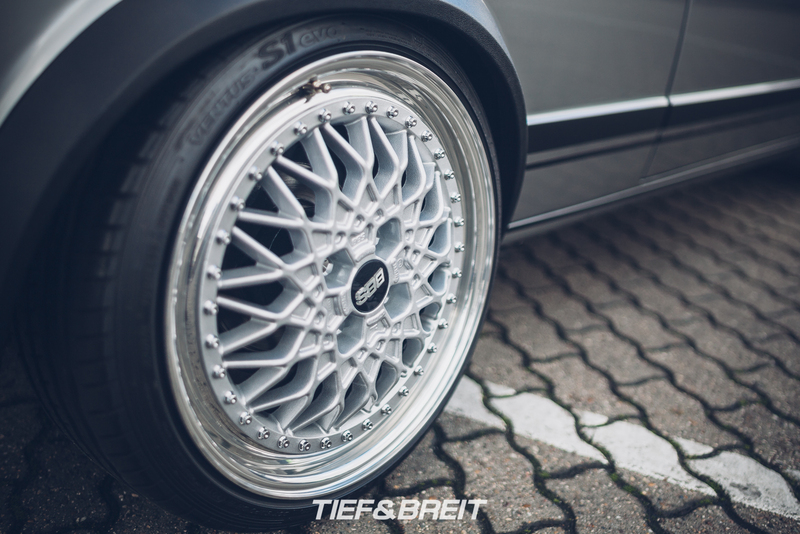 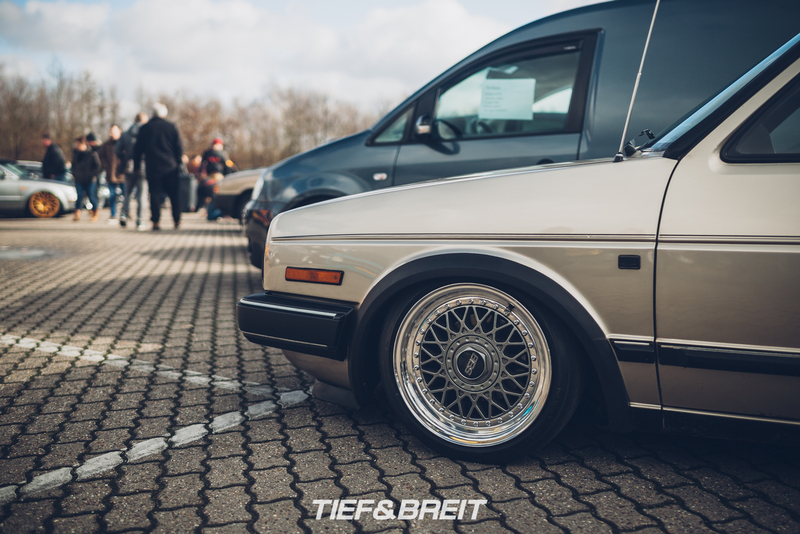 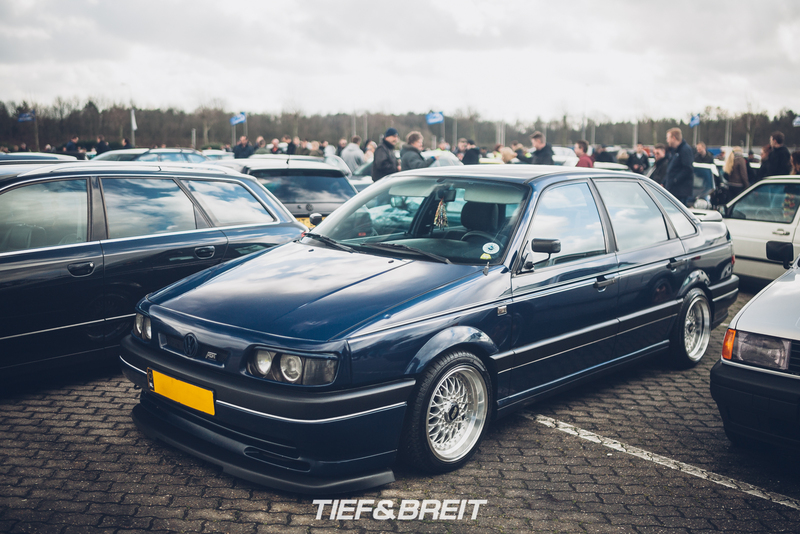 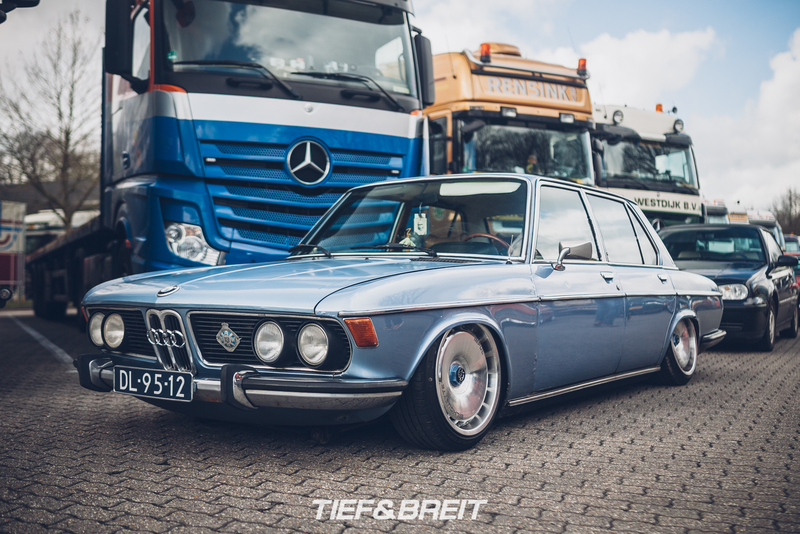 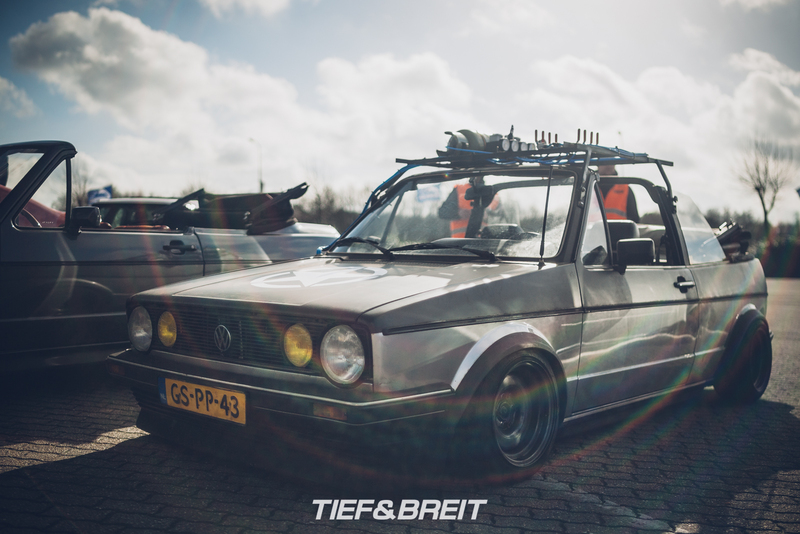 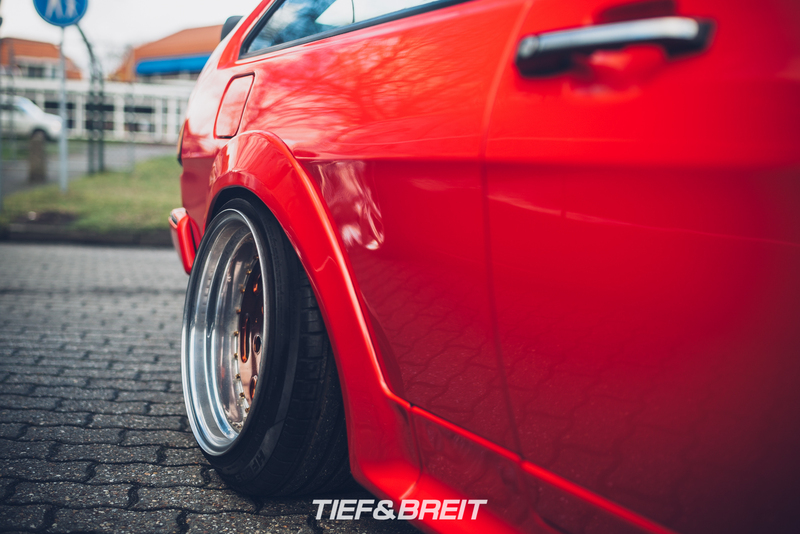 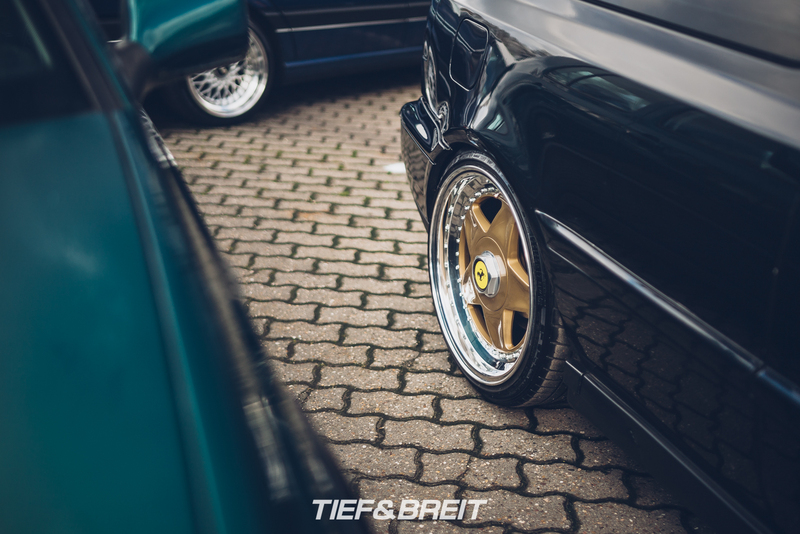 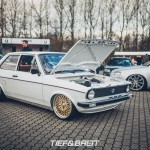 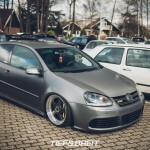 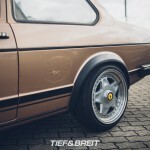 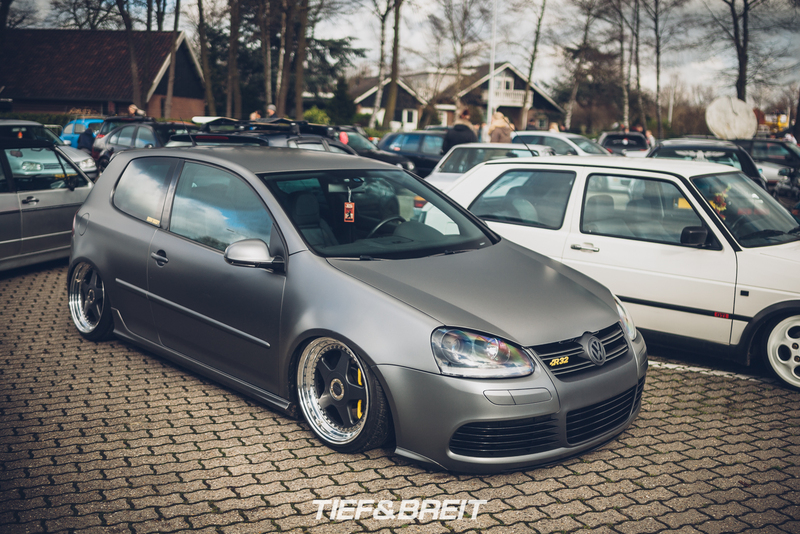 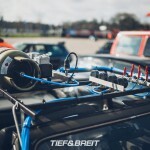 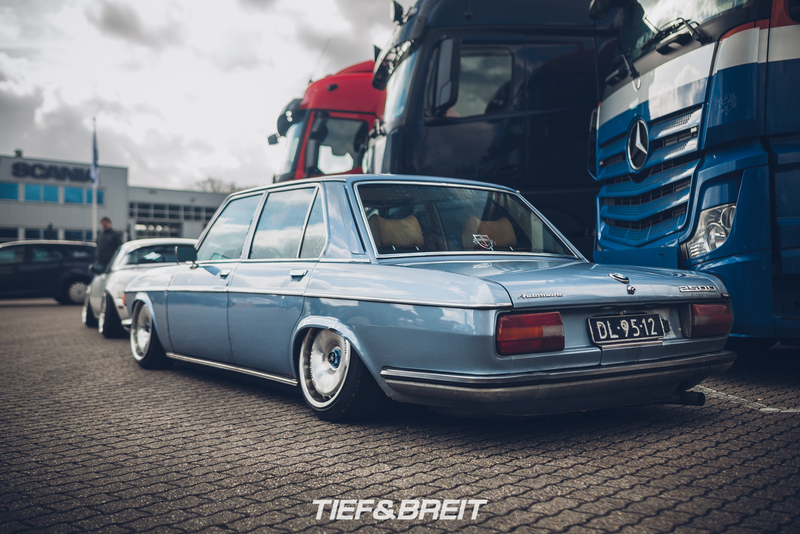 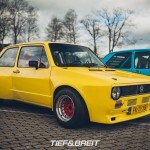 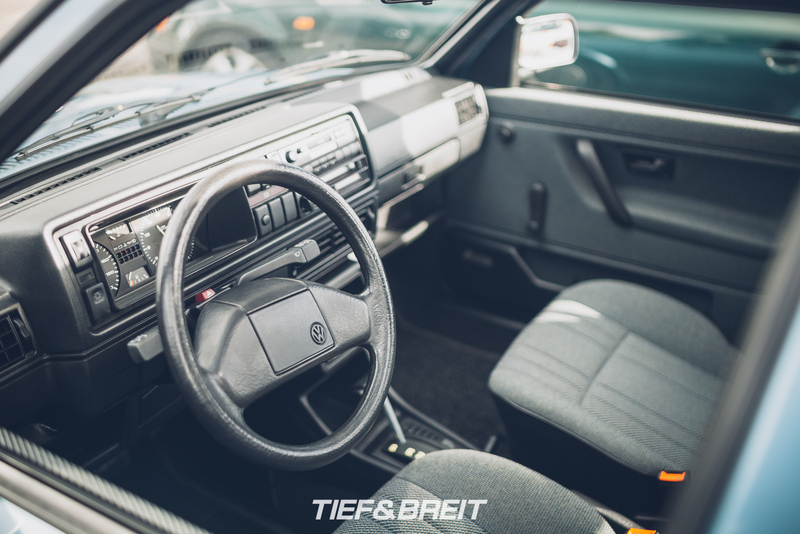 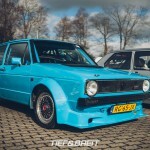 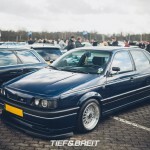 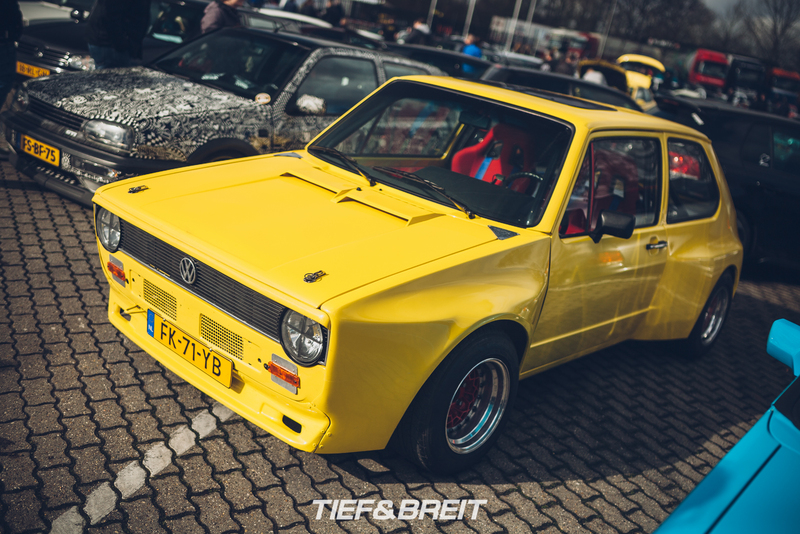 Romar Hiensch from Breakfvst laid down his BMW E3 in the visitor’s parking as well. 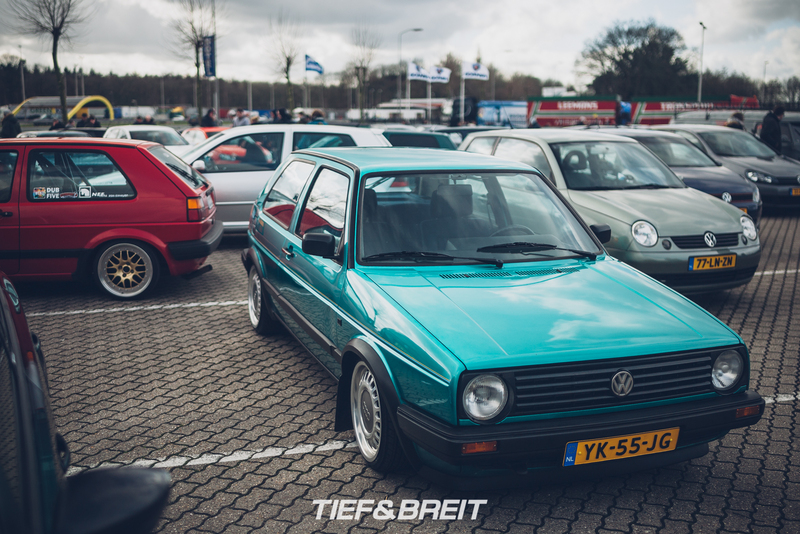 It was hard to get a shot of this Mk1! 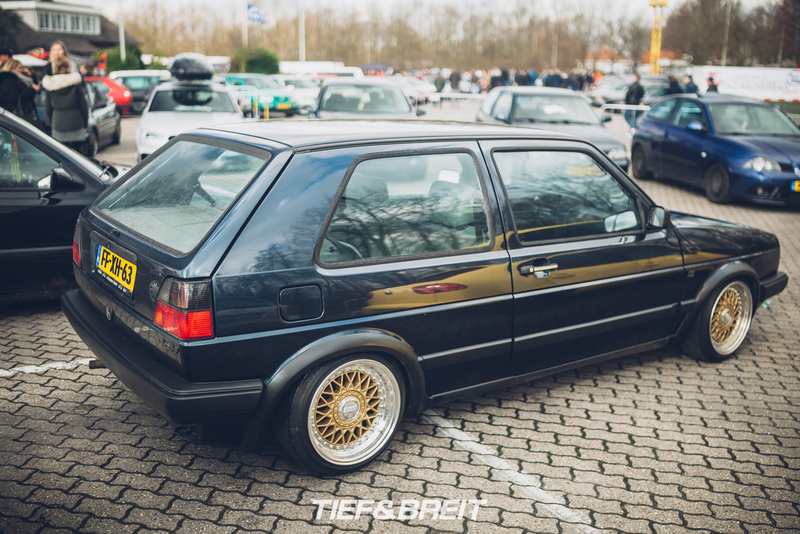 It was constantly surrounded by people checking out the immaculate work. 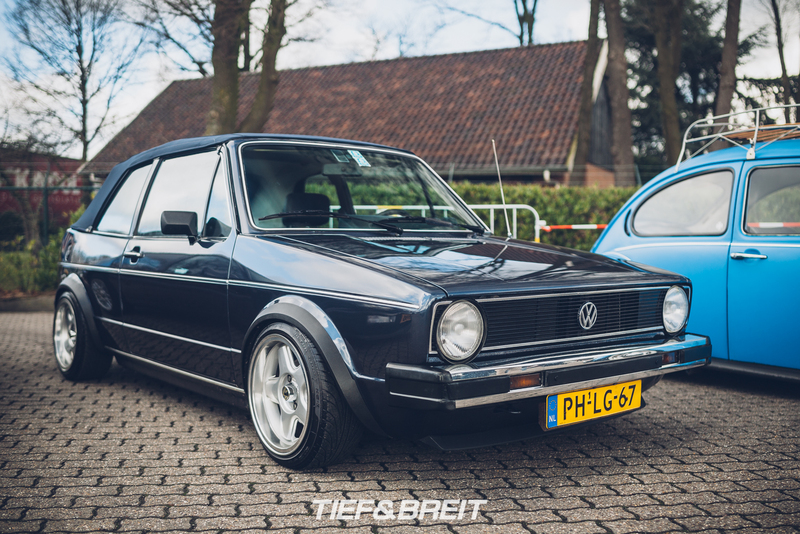 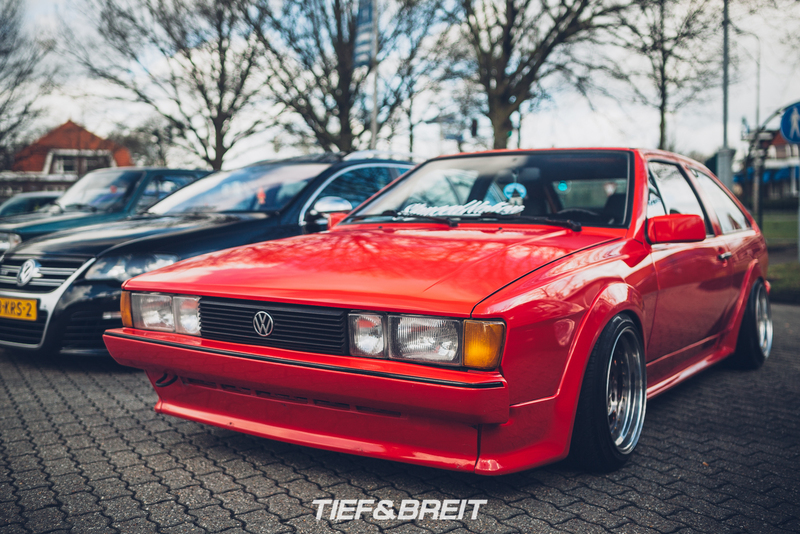 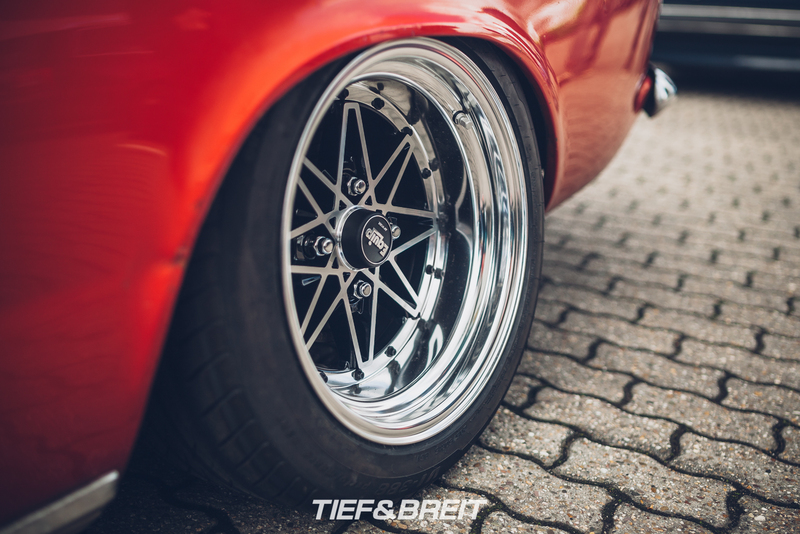 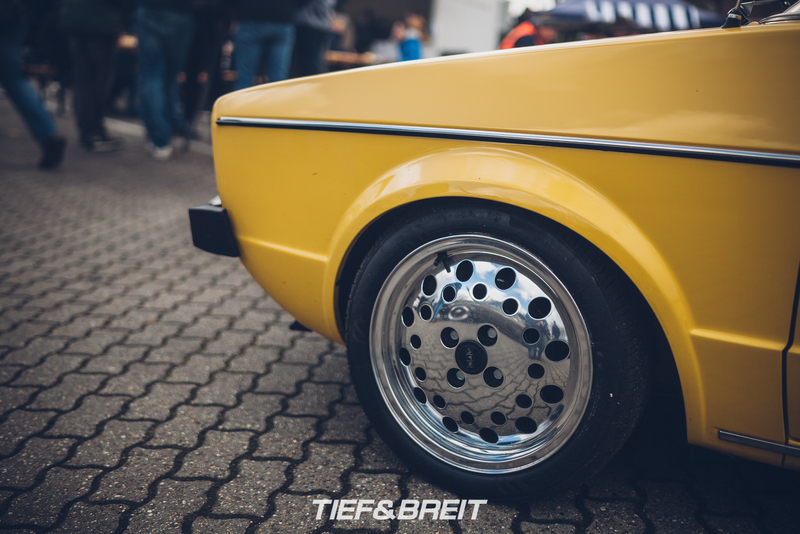 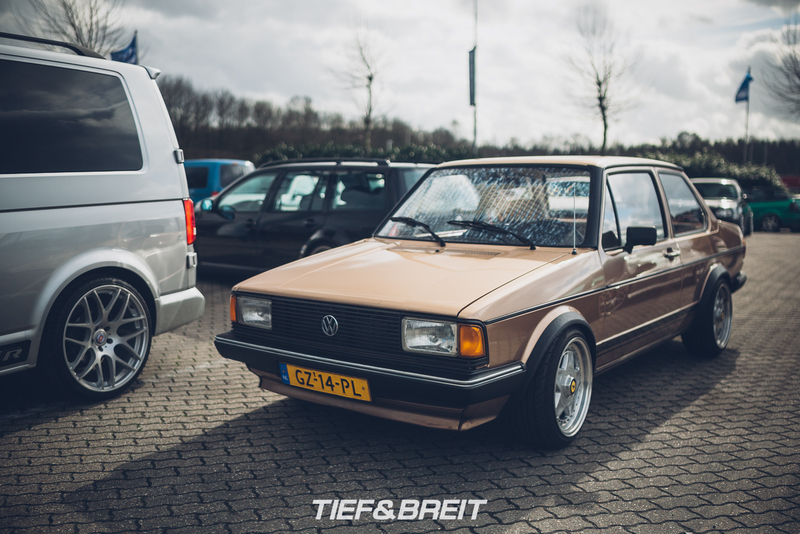 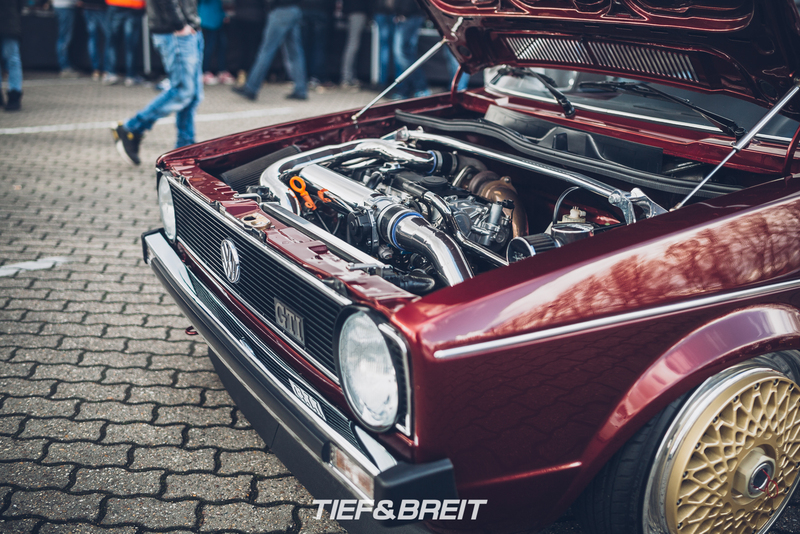 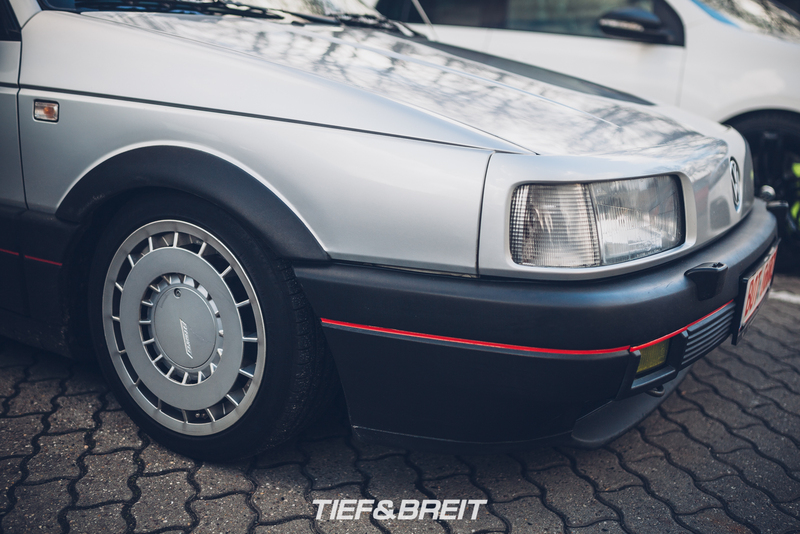 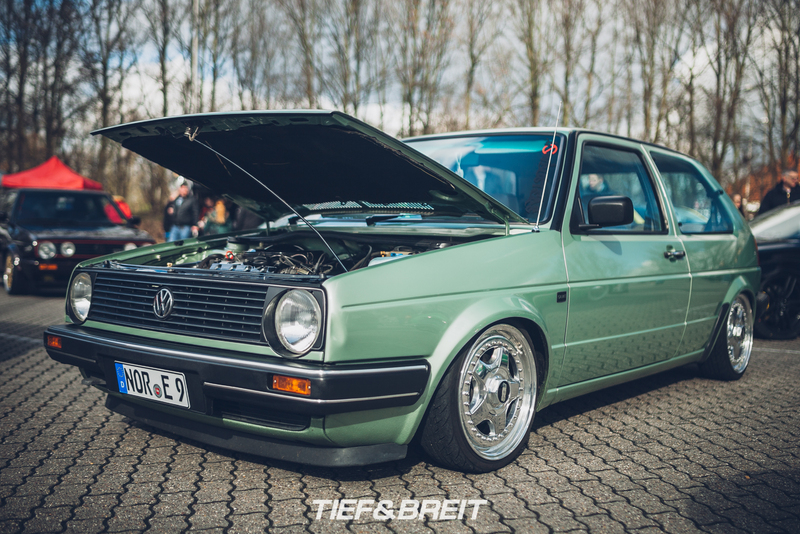 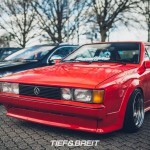 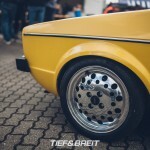 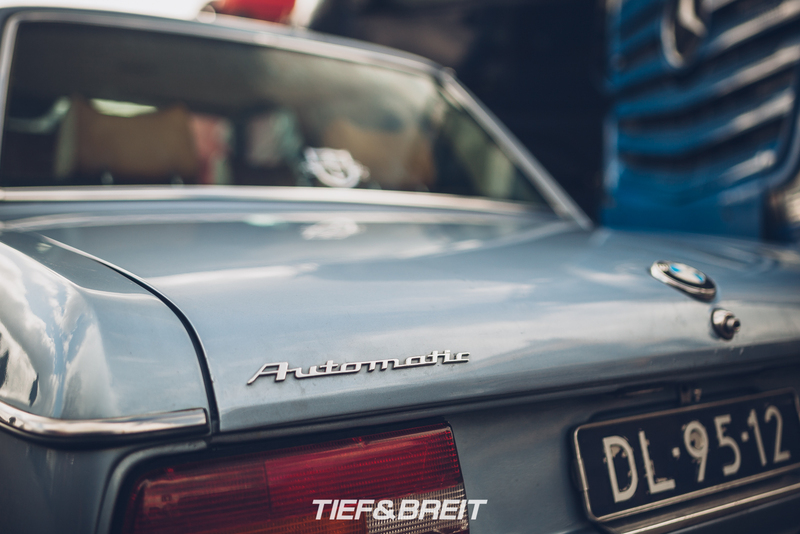 This Scirocco was one of my favourites at the show – it’s rare to see one of these with fitment this good! 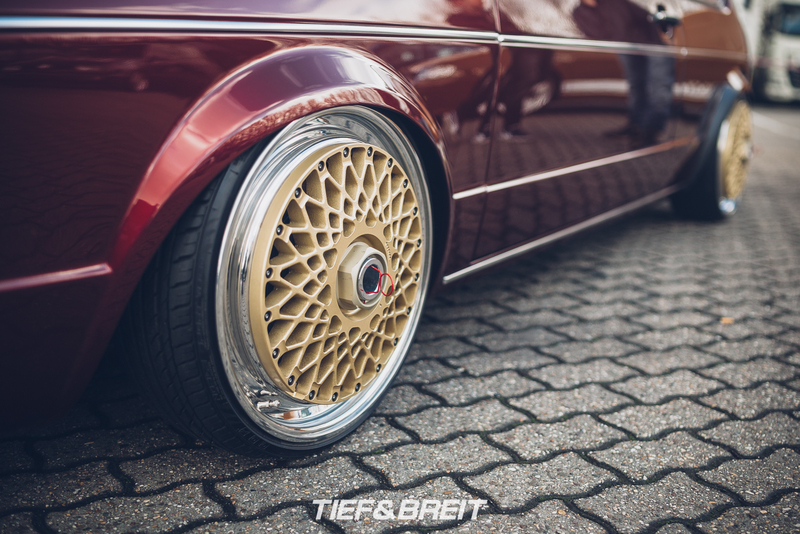 And now, for the rest of the coverage… enjoy the gallery! 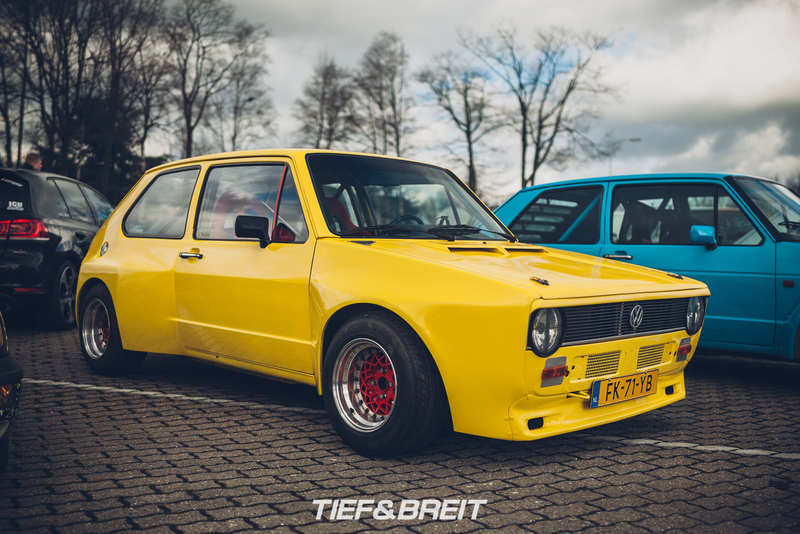 It’s yellow. 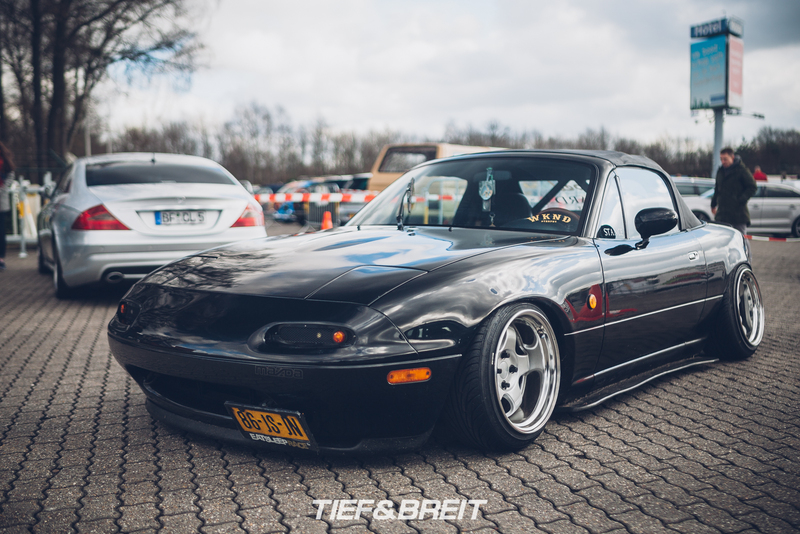 It’s small. 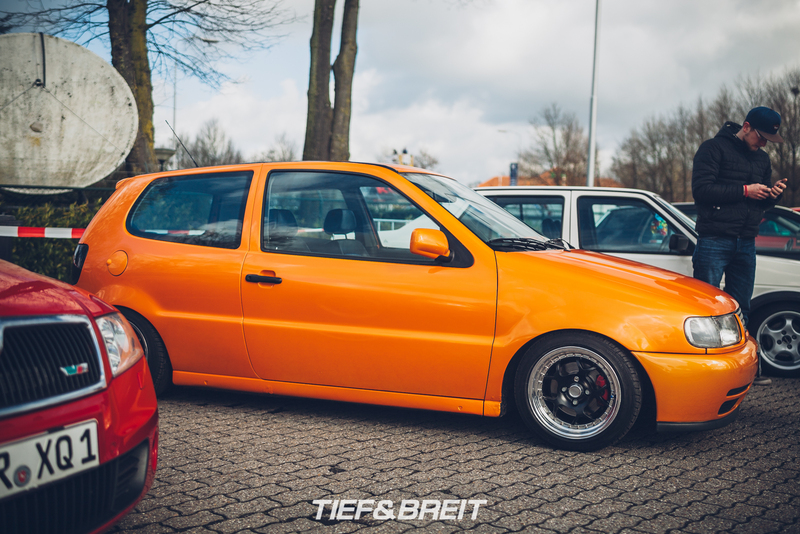 It’s a Polski Fiat!